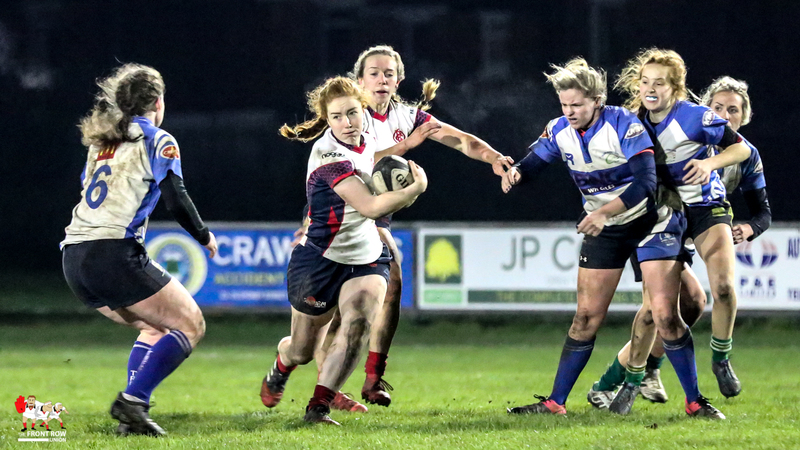 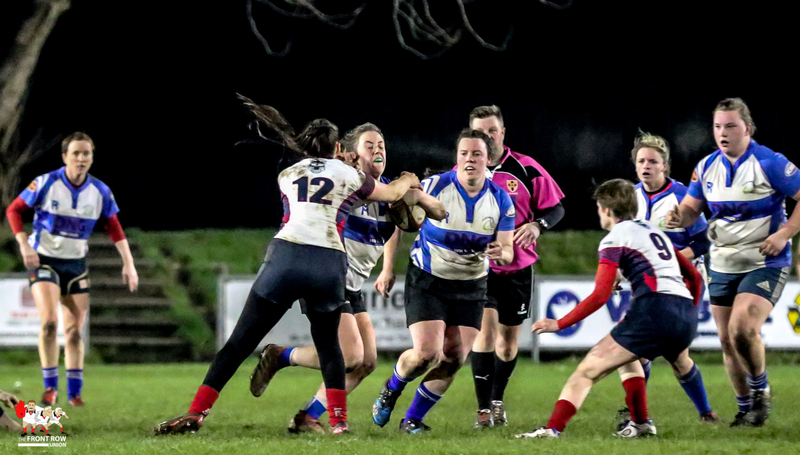 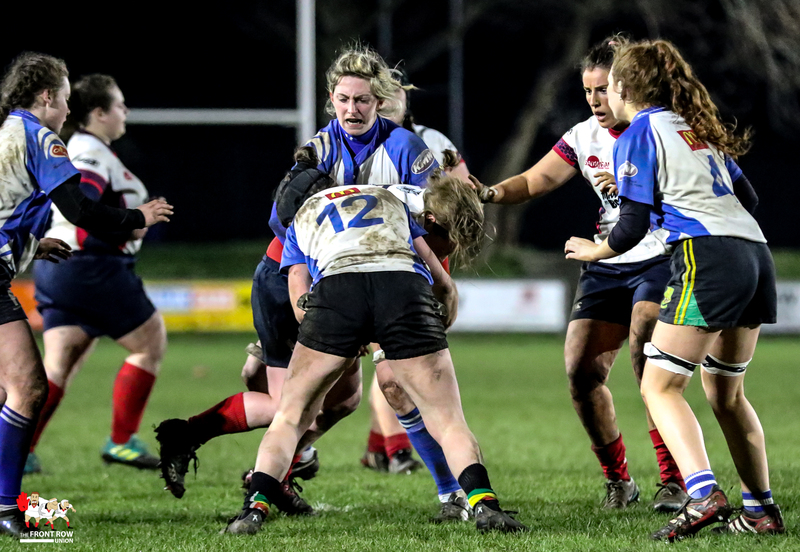 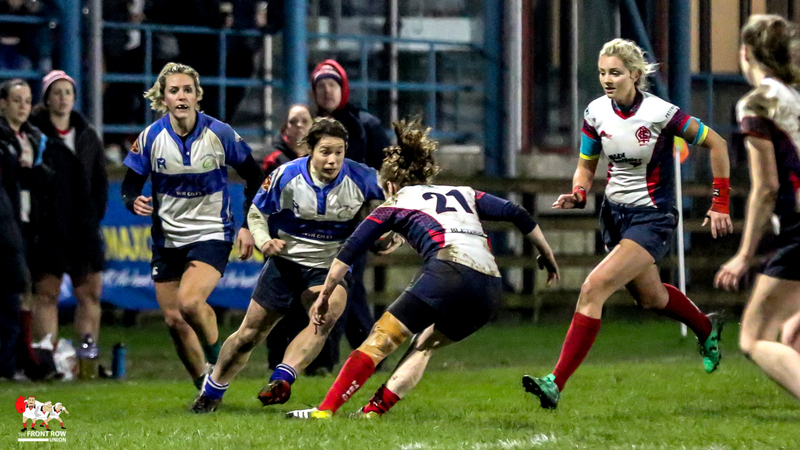 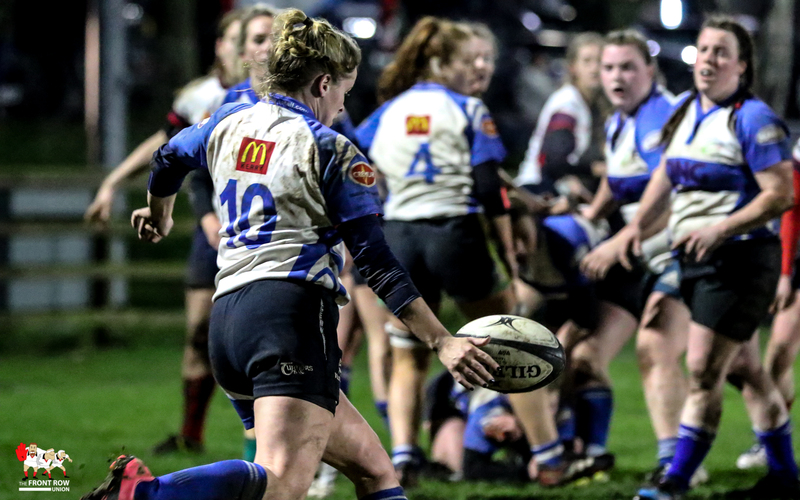 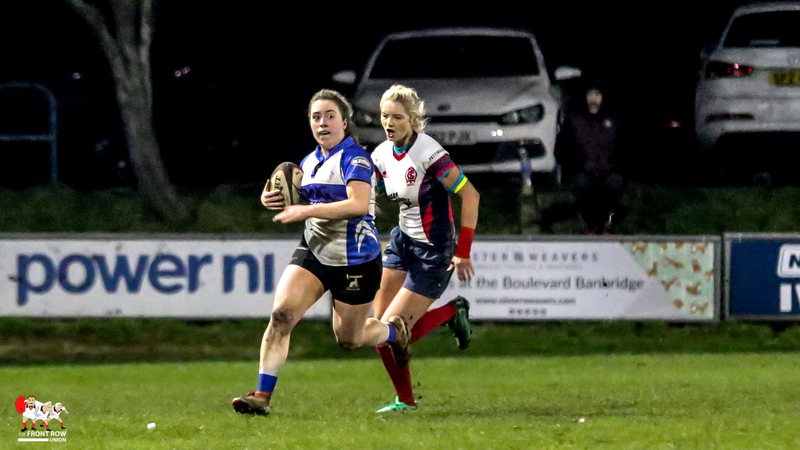 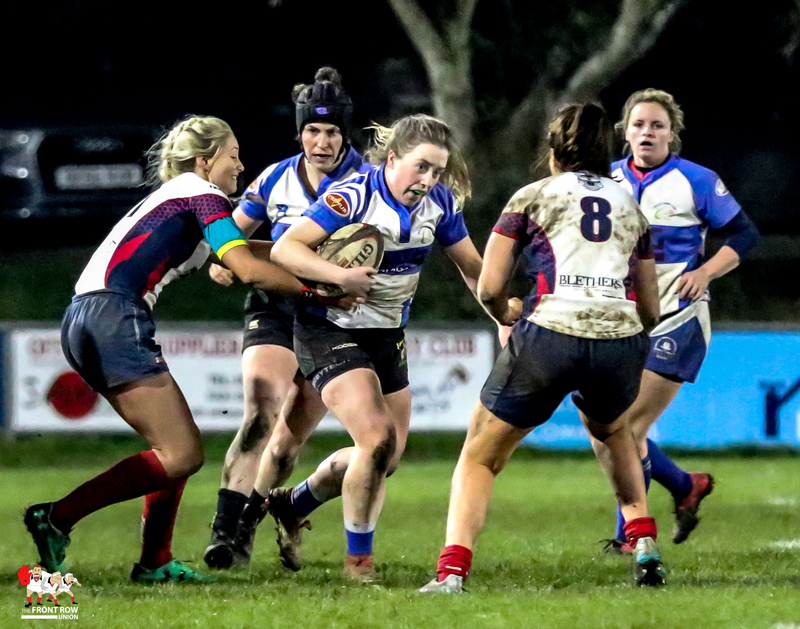 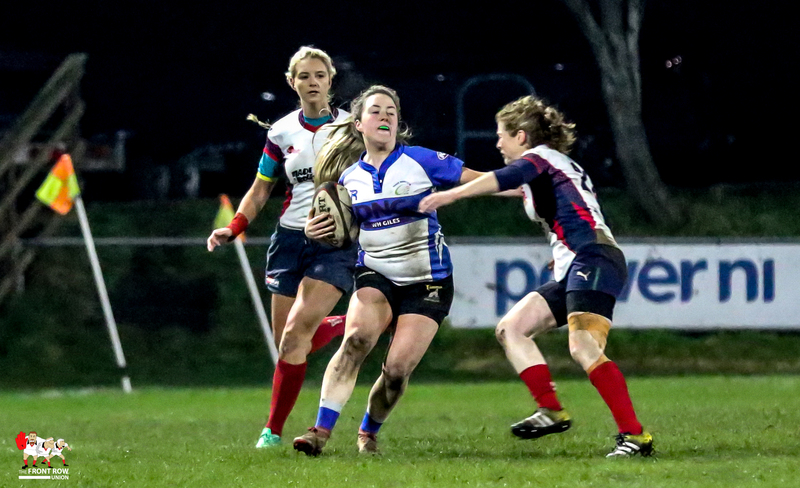 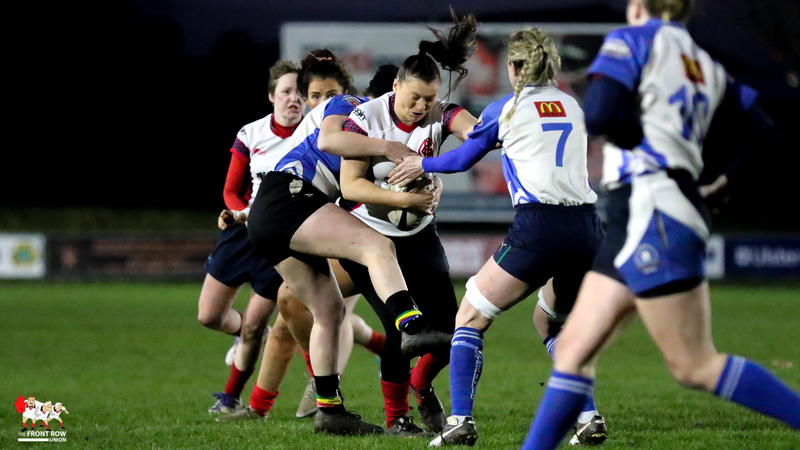 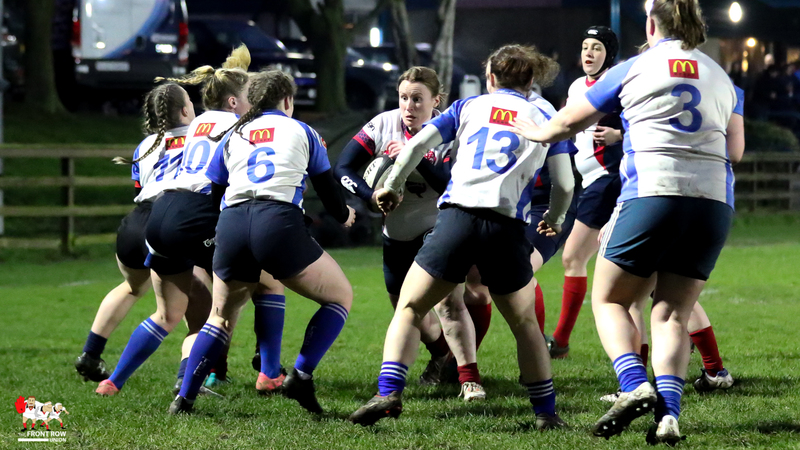 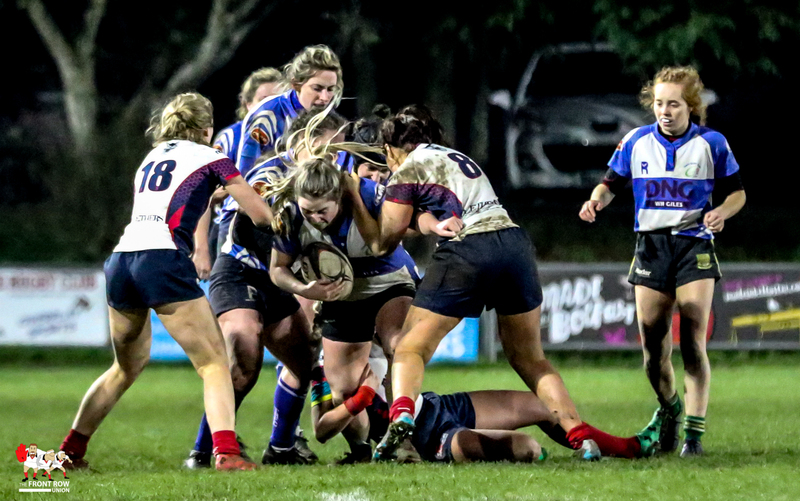 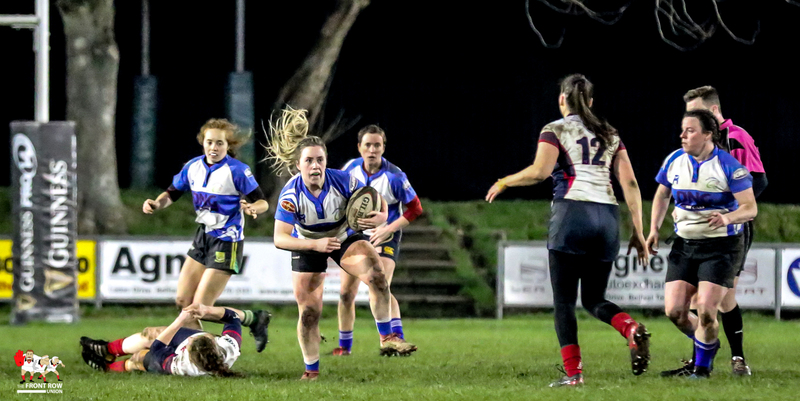 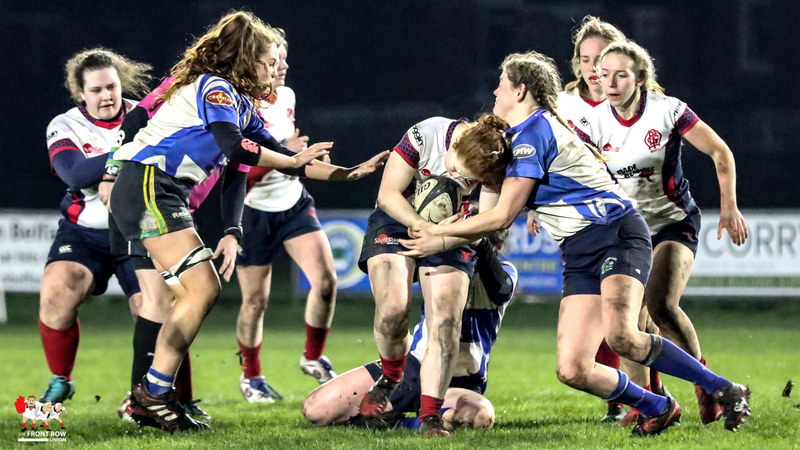 An impressive Tralee side came out on top against Malone in an entertaining Women’s All Ireland Shield Quarter Final match on Saturday evening at Gibson Park. 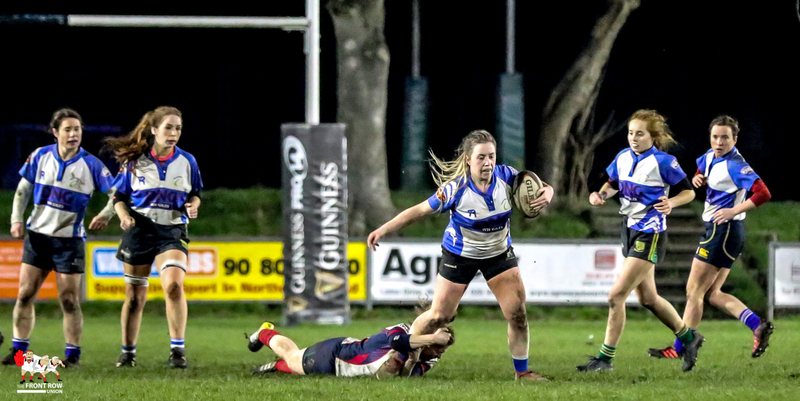 Malone started the game strongly but, after rebuffing the home sides initial attacks Tralee broke quickly up field for Christine Arthur to open the scoring close to the posts. 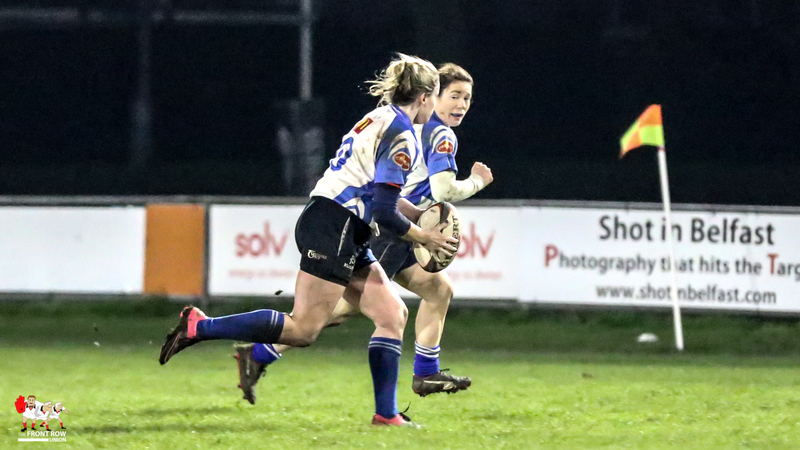 Laoise O’Driscoll added the extras to give the visitors a 0 – 7 lead. 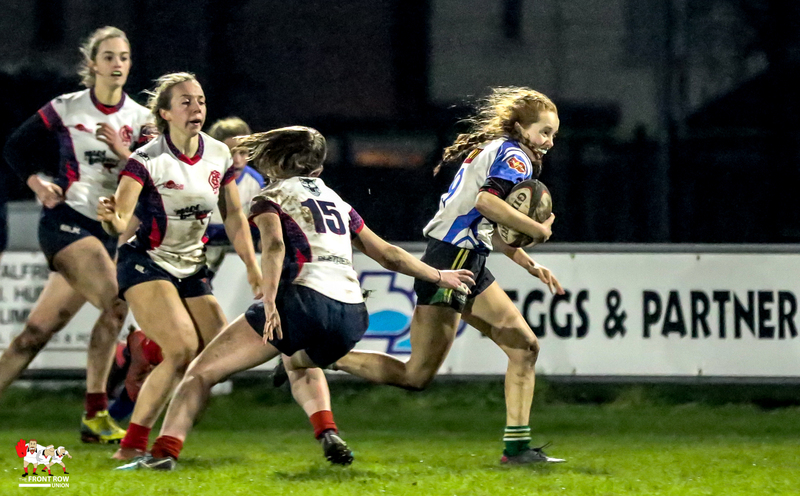 The lead was increased to 0 – 12 minutes later when Maura Collins crossed for their second score, the visitors slick handling and pace leaving Malone somewhat shell shocked in the opening quarter. 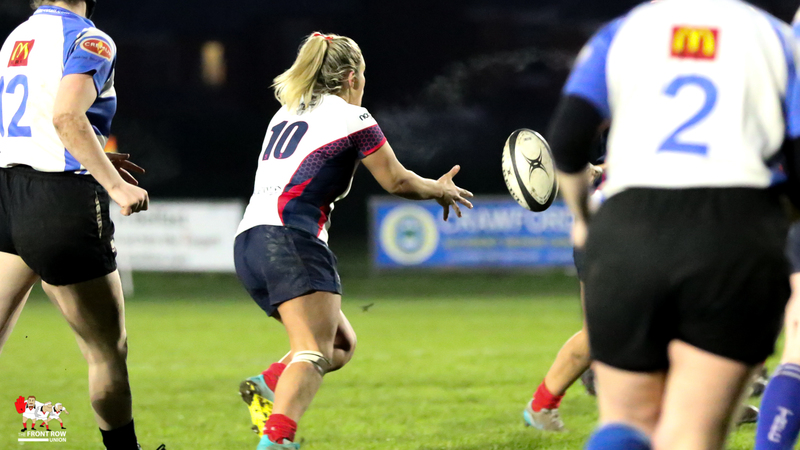 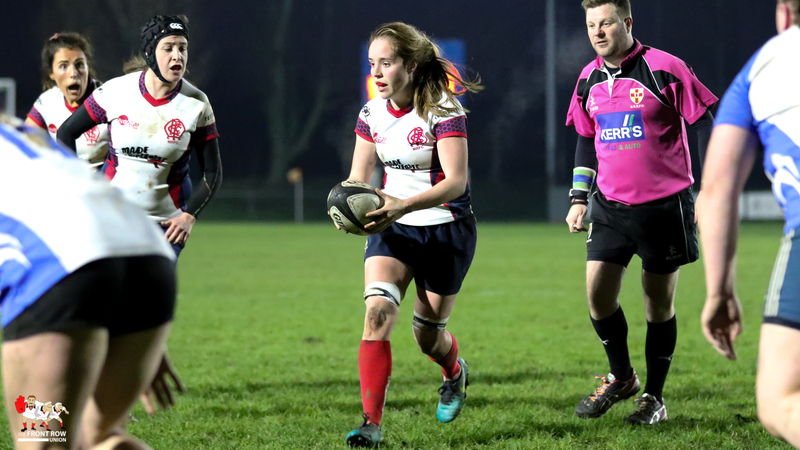 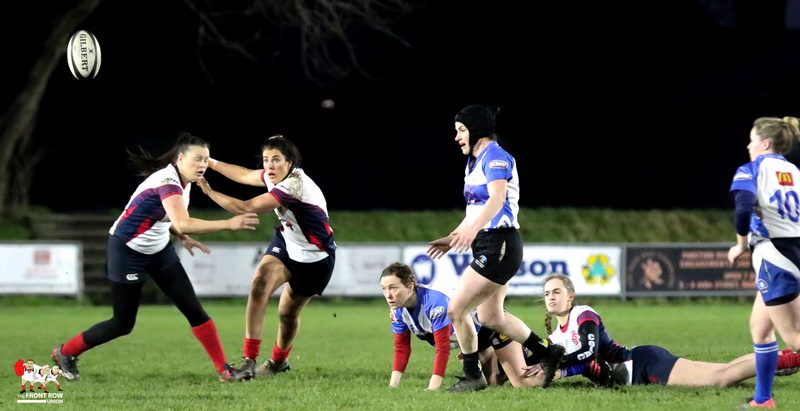 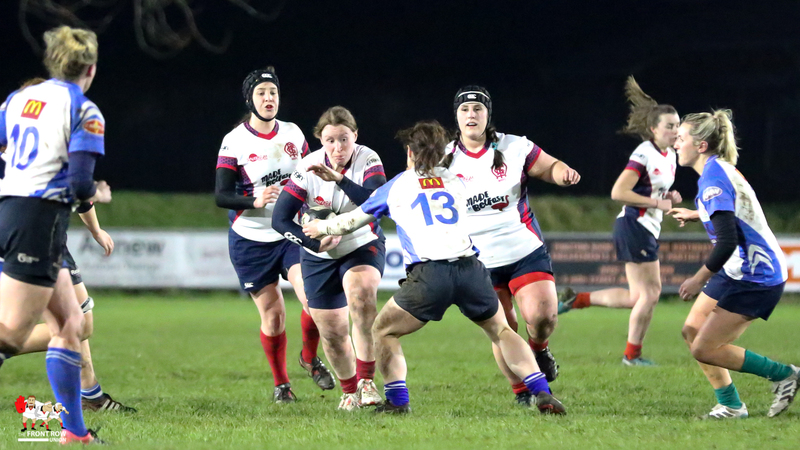 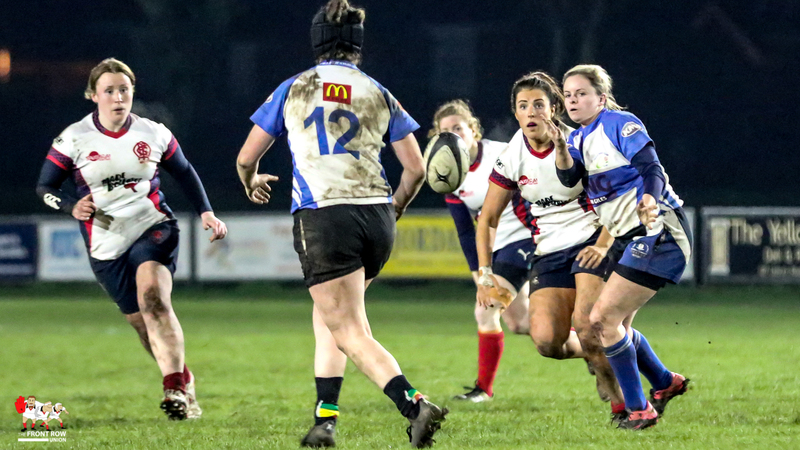 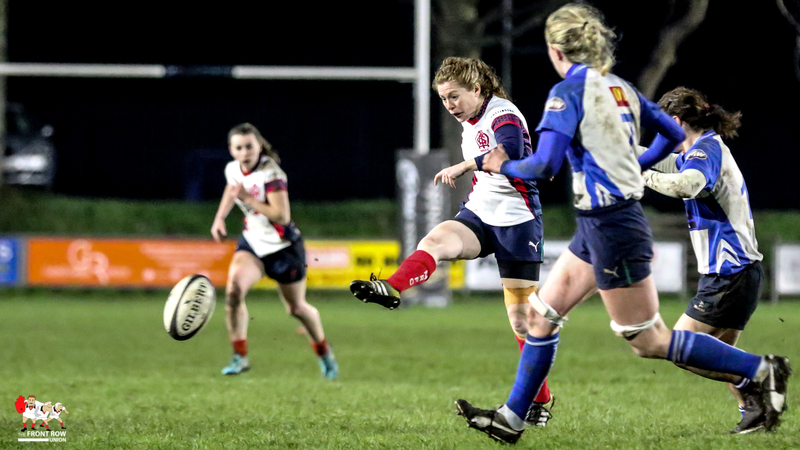 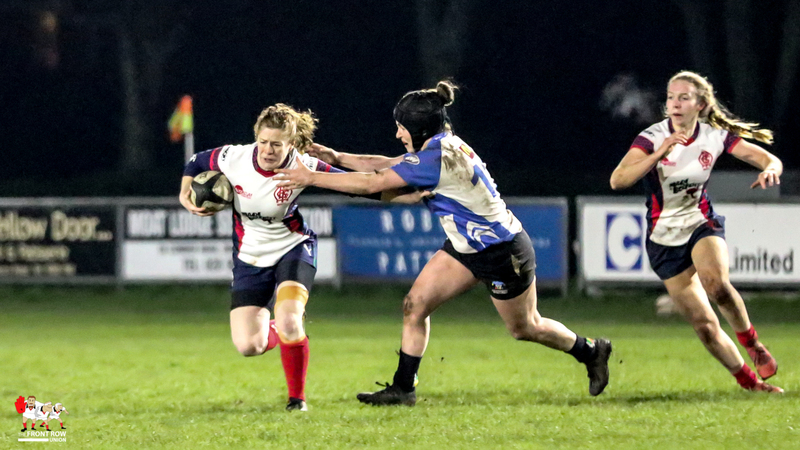 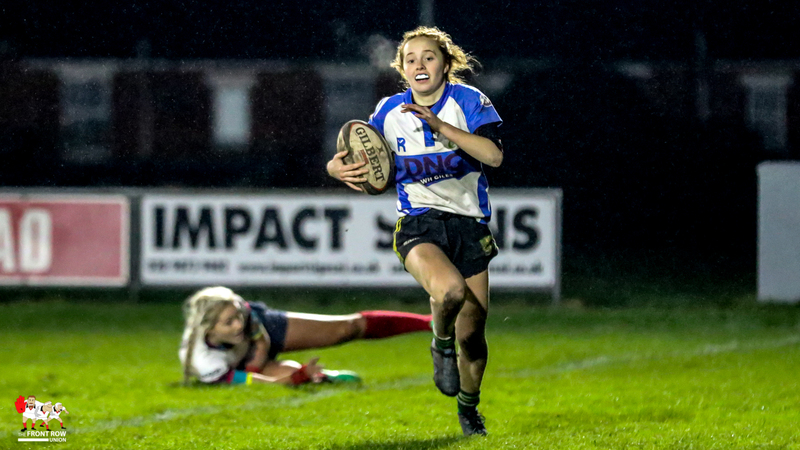 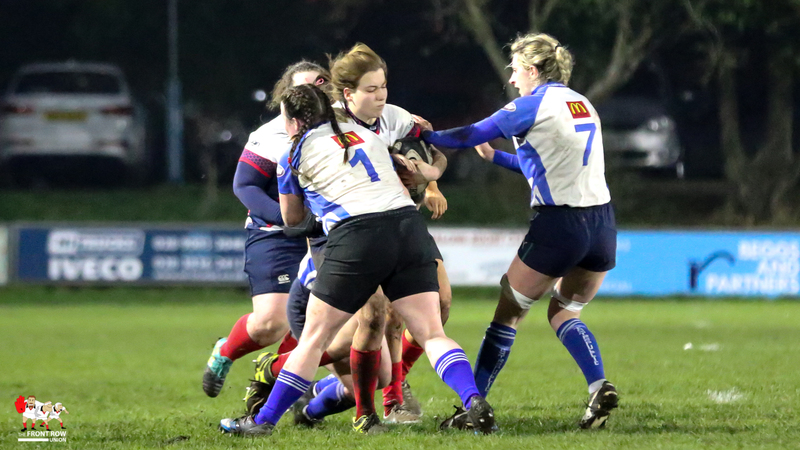 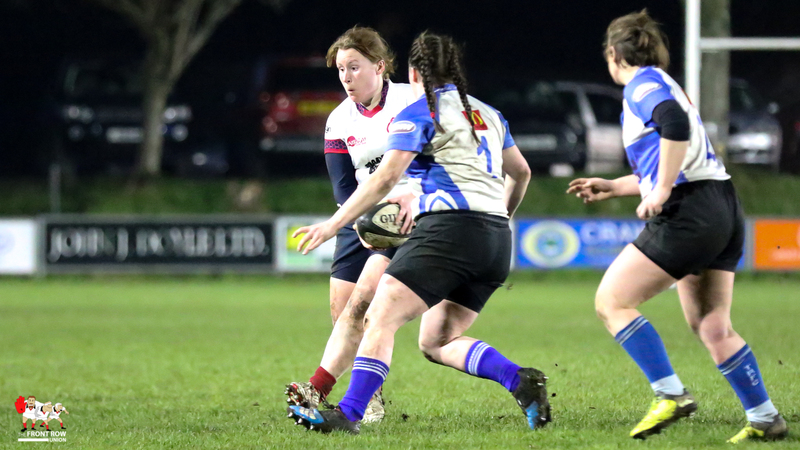 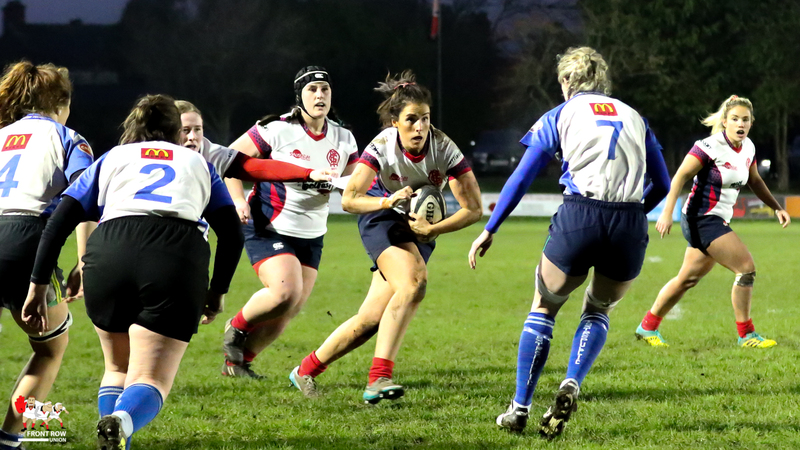 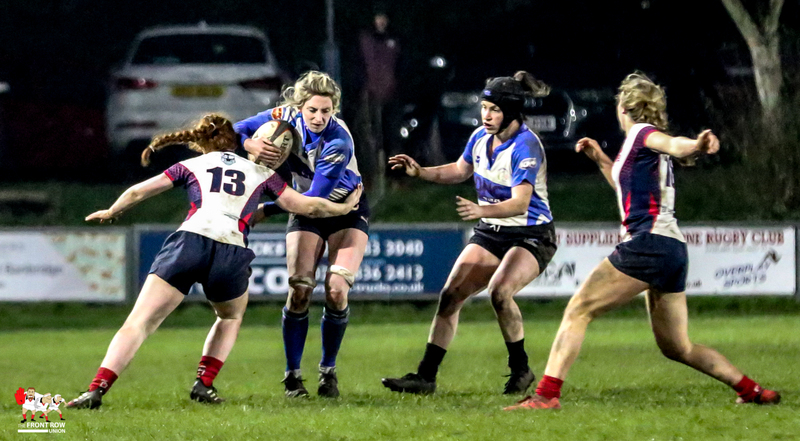 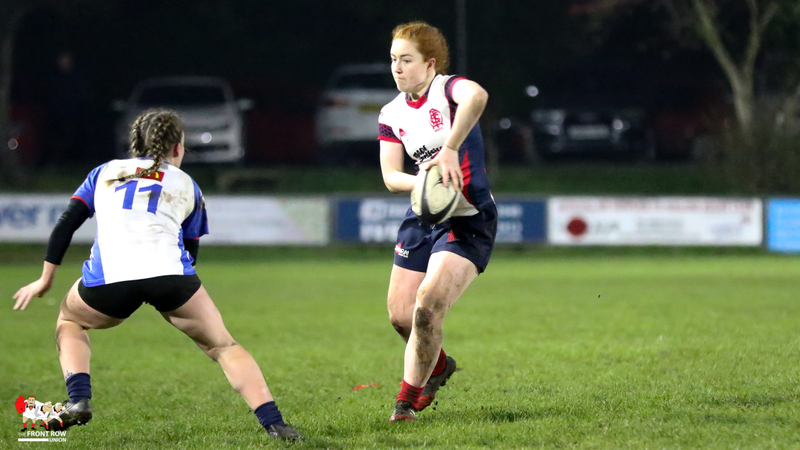 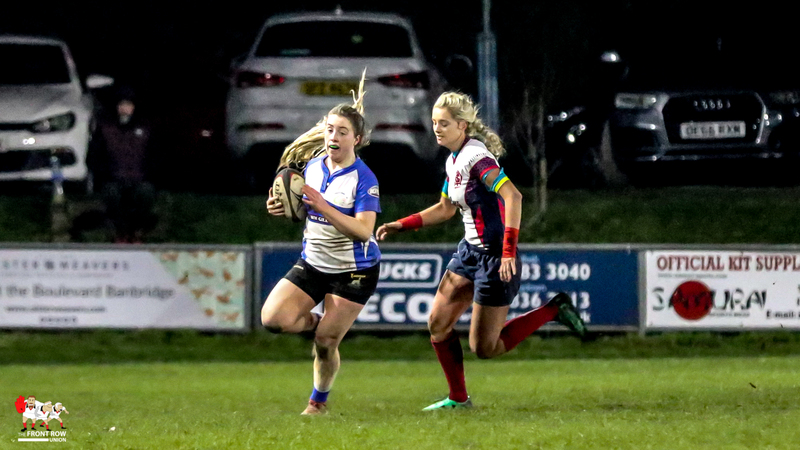 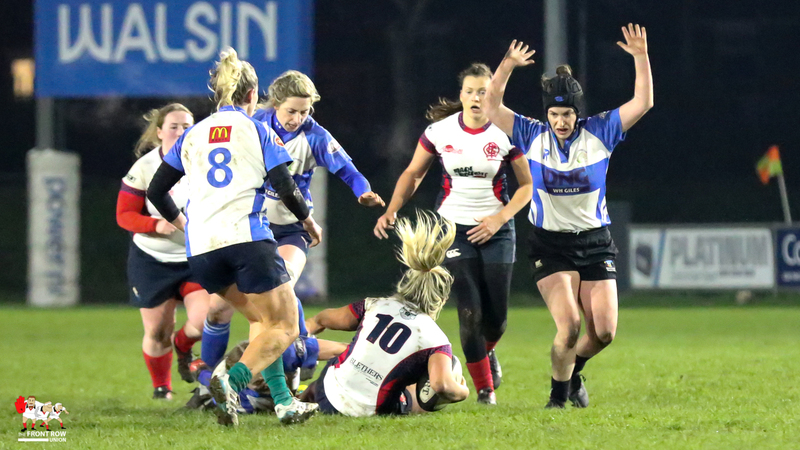 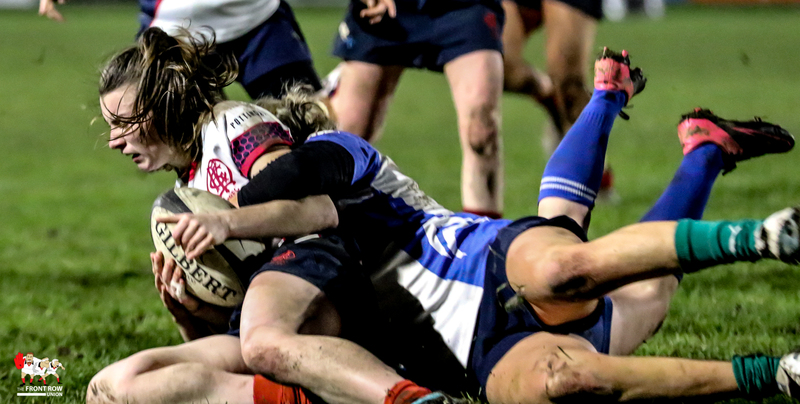 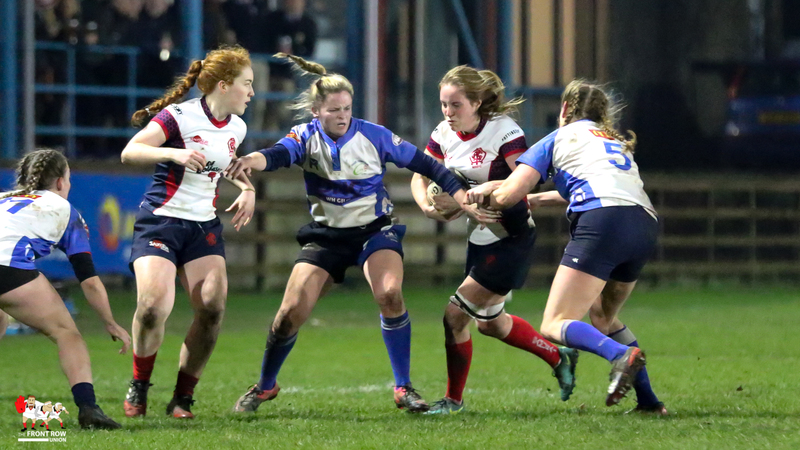 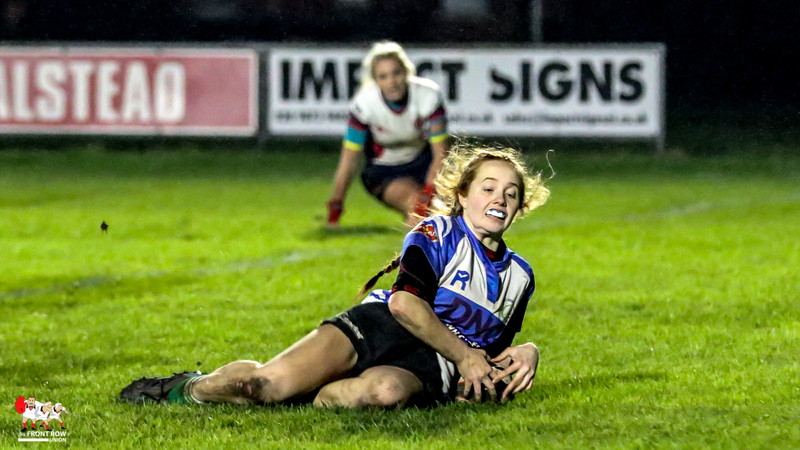 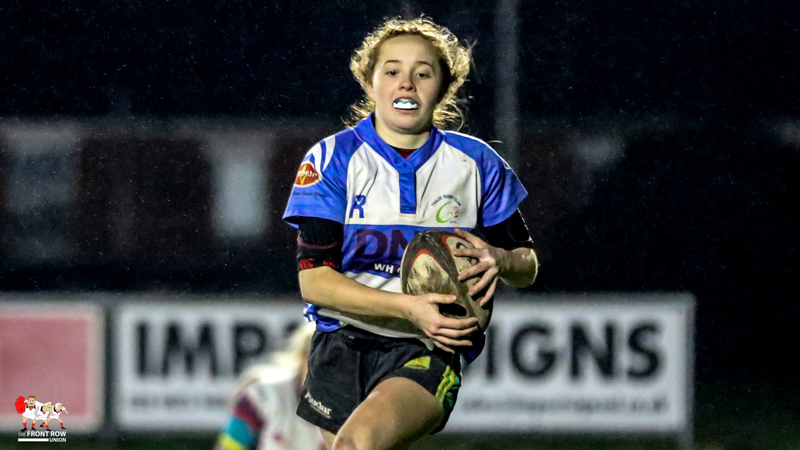 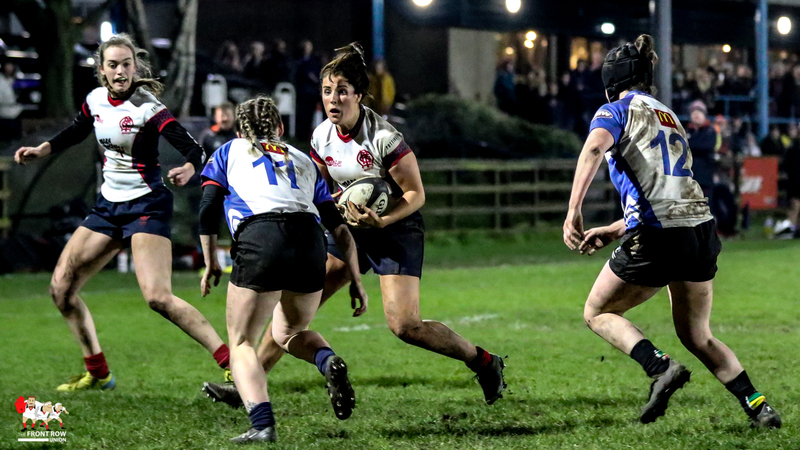 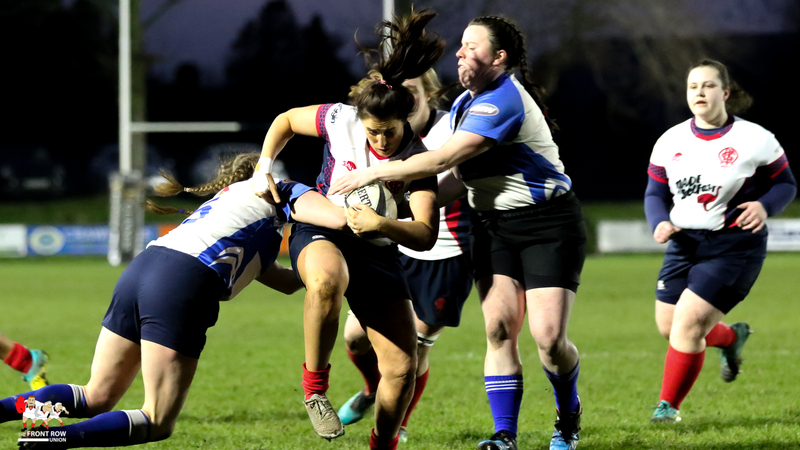 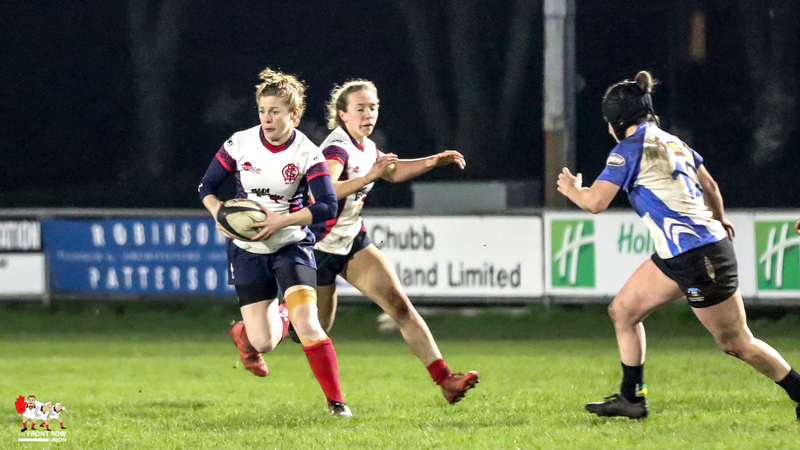 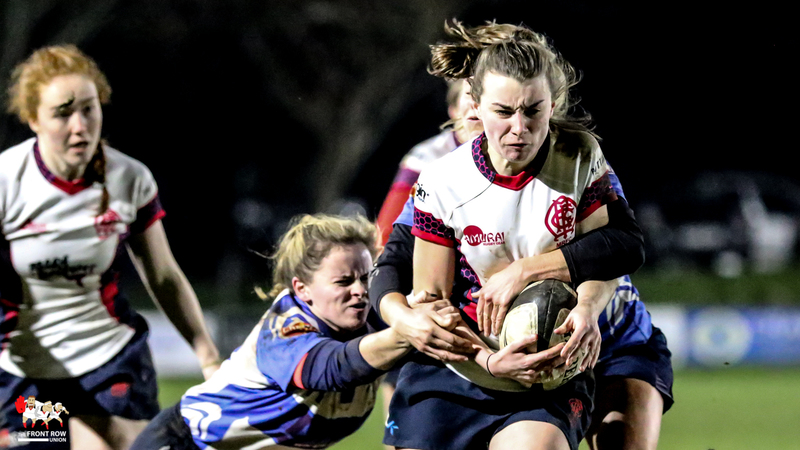 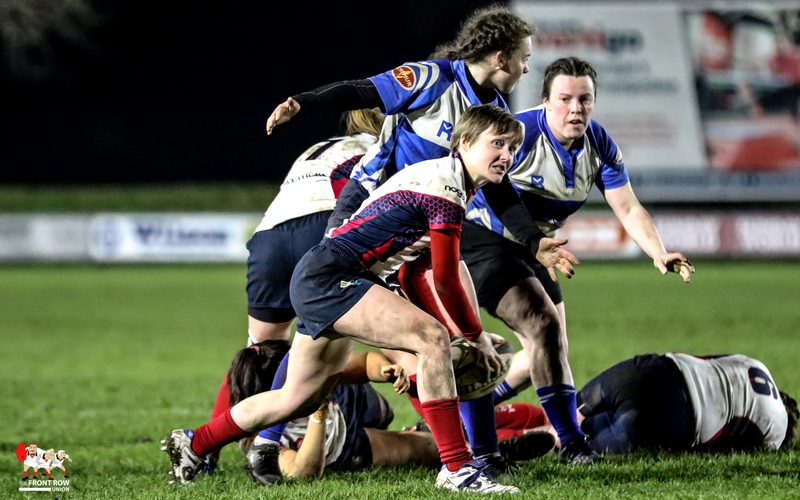 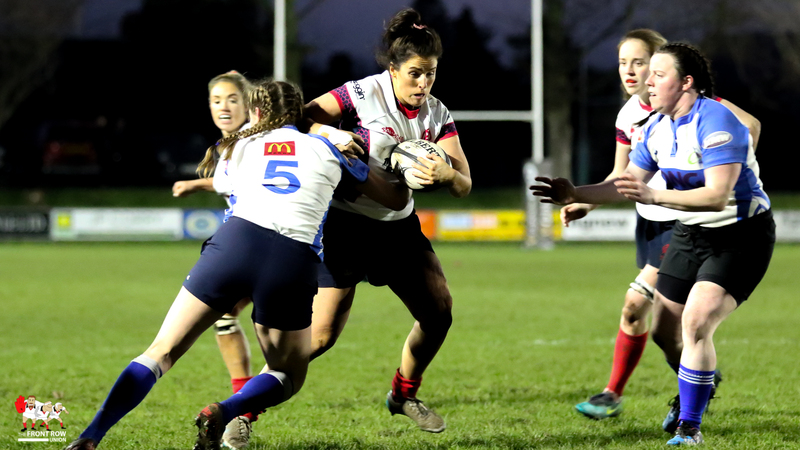 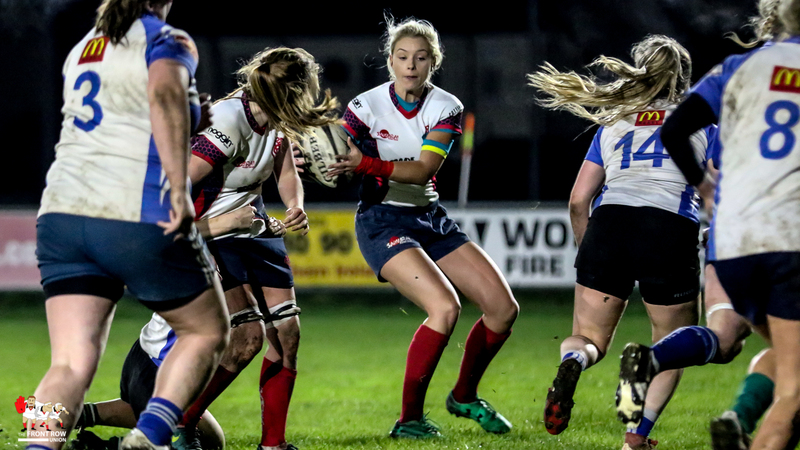 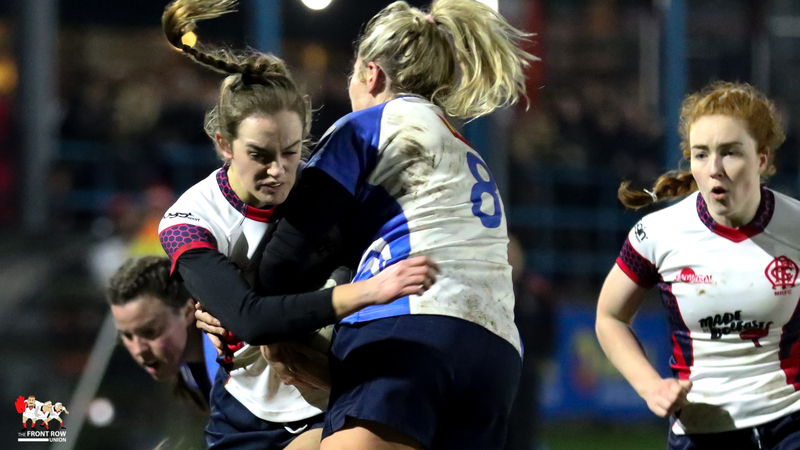 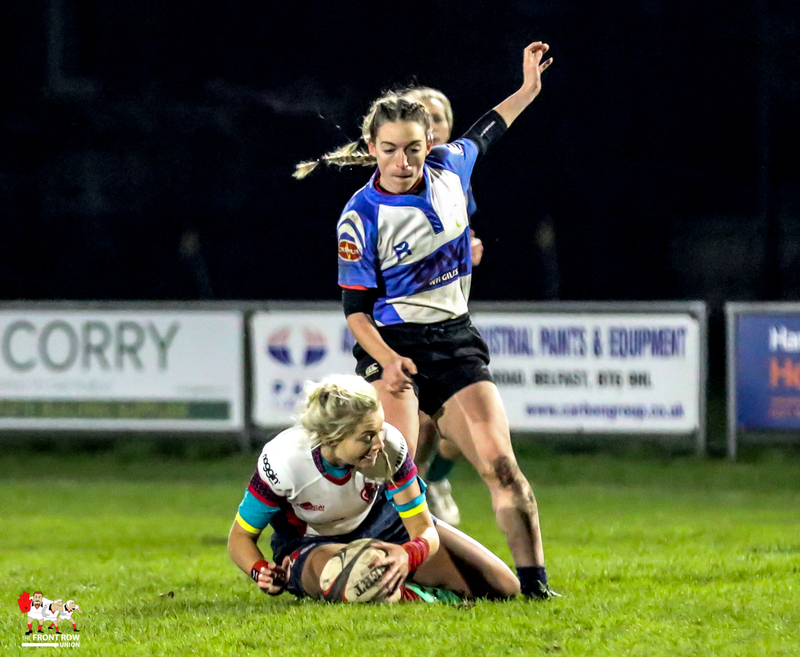 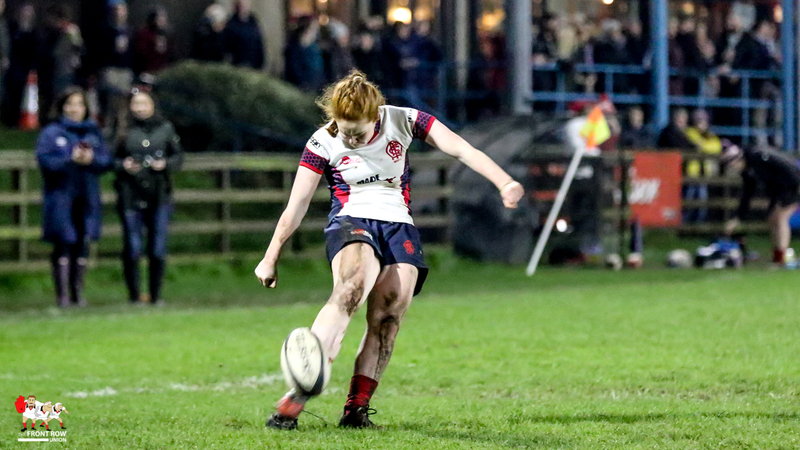 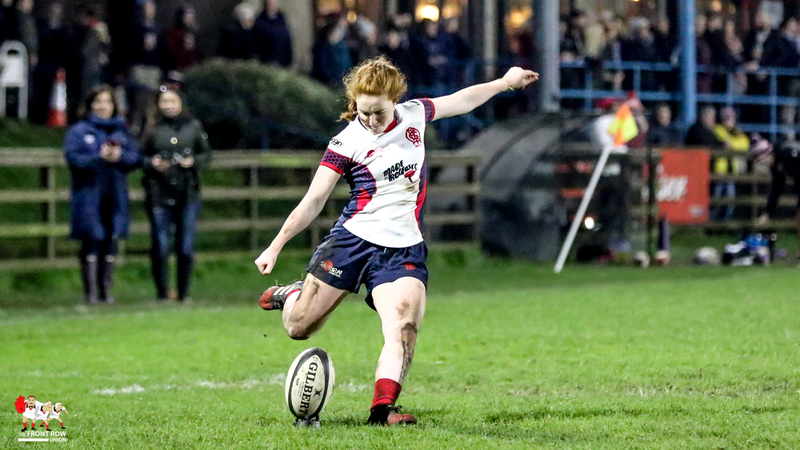 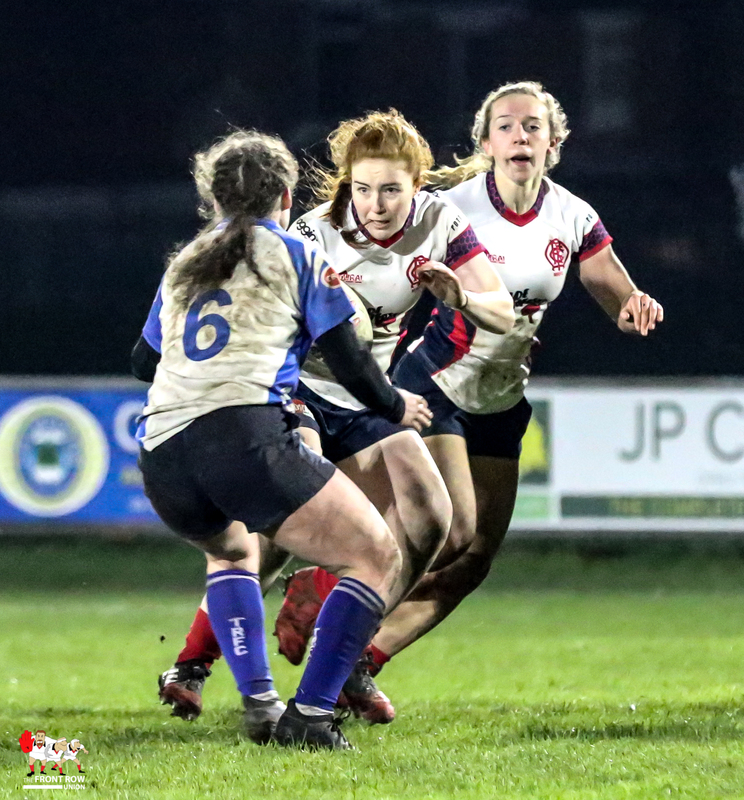 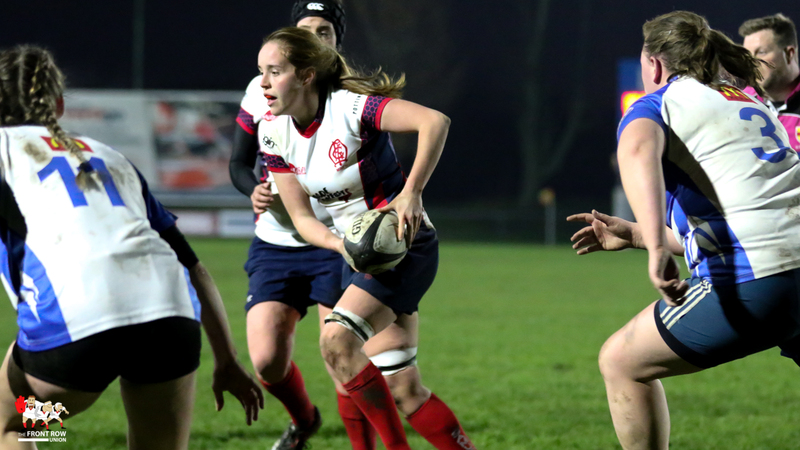 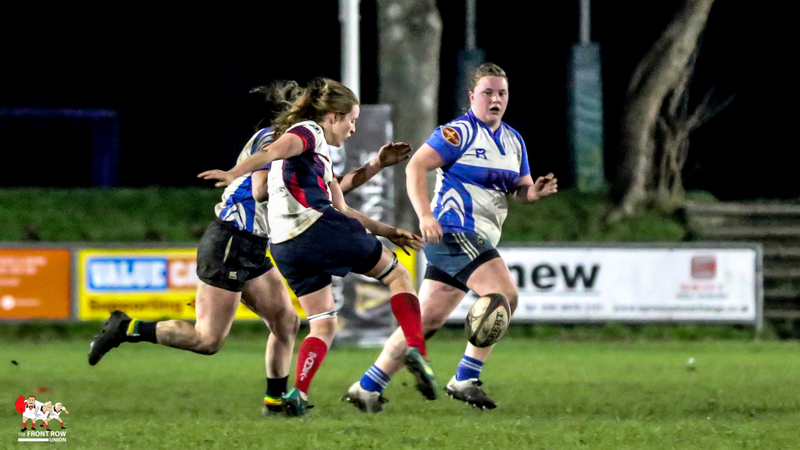 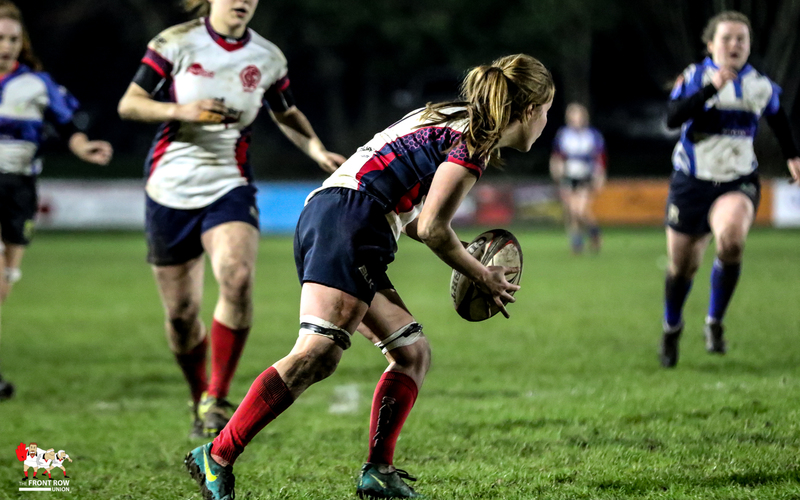 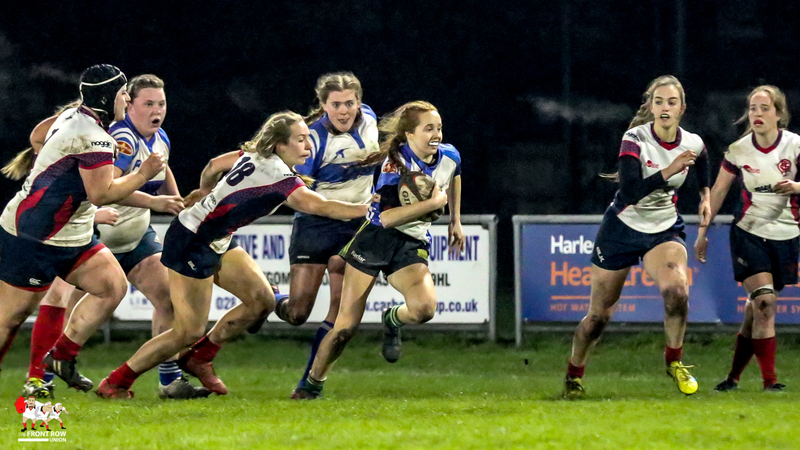 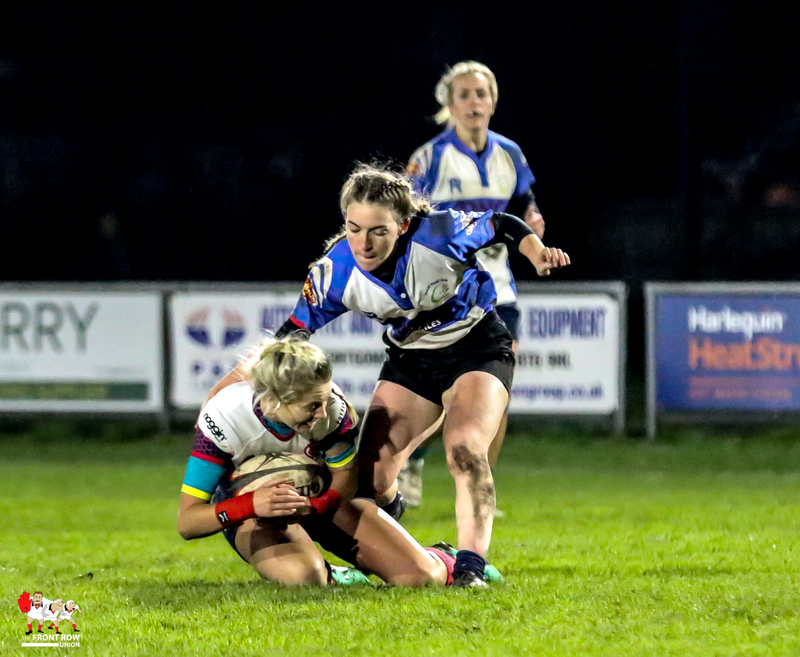 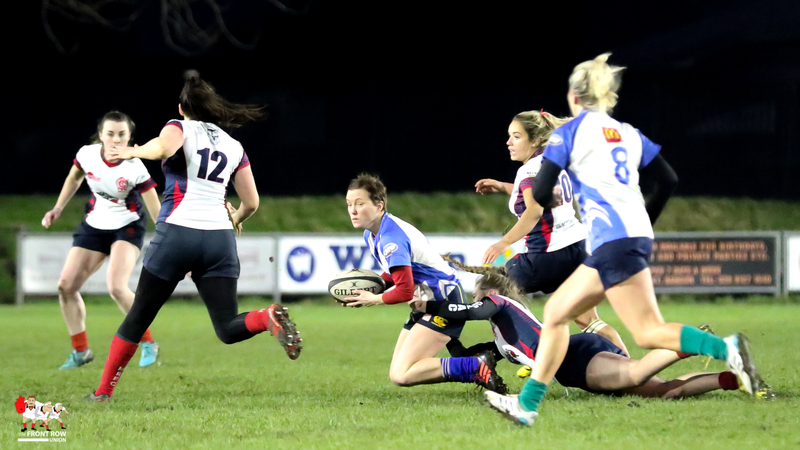 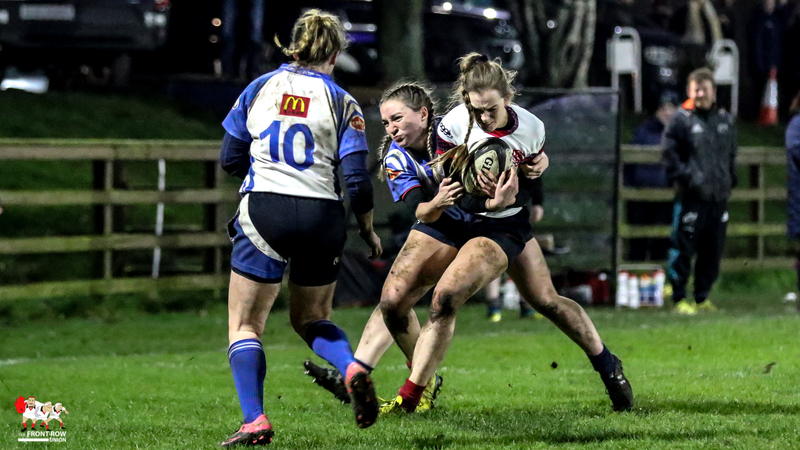 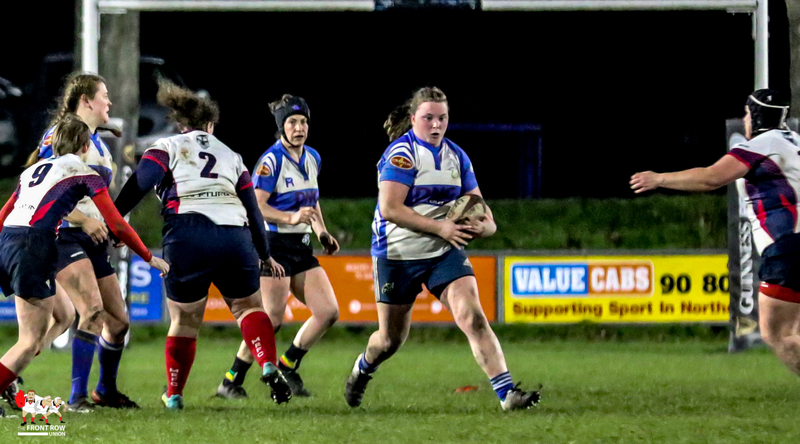 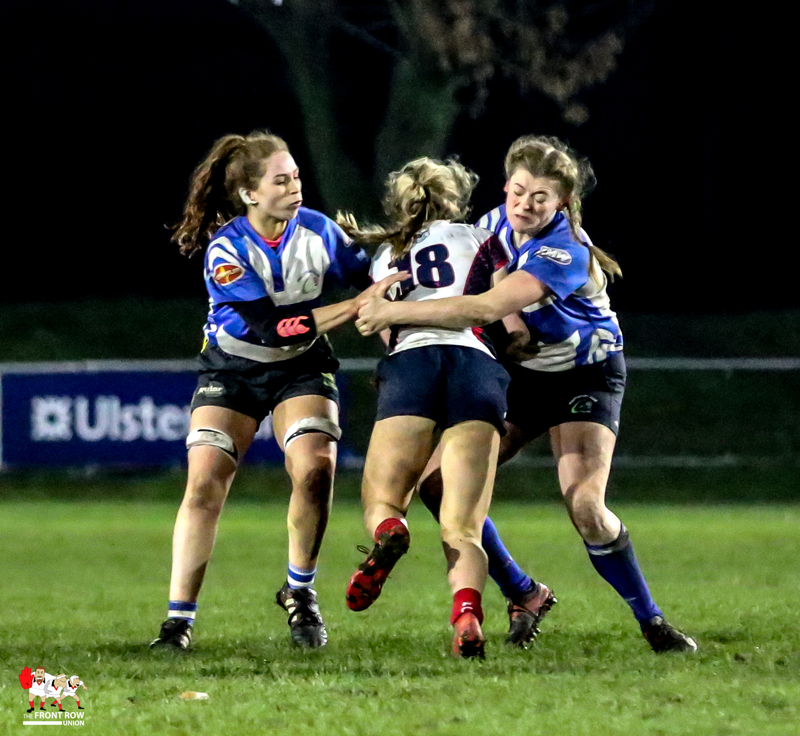 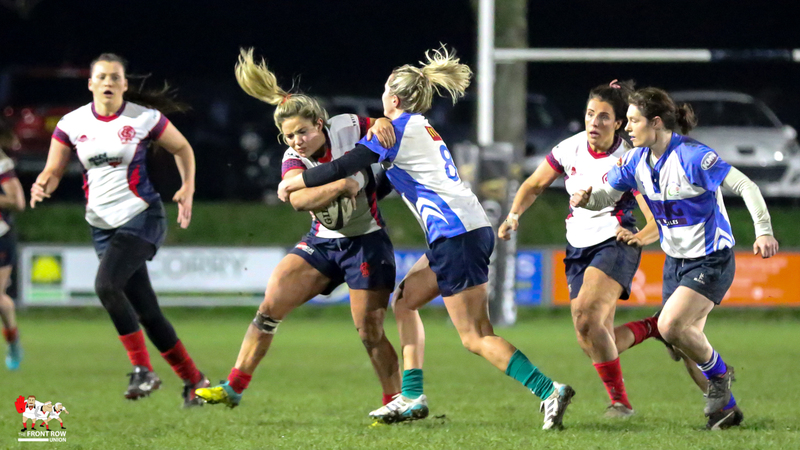 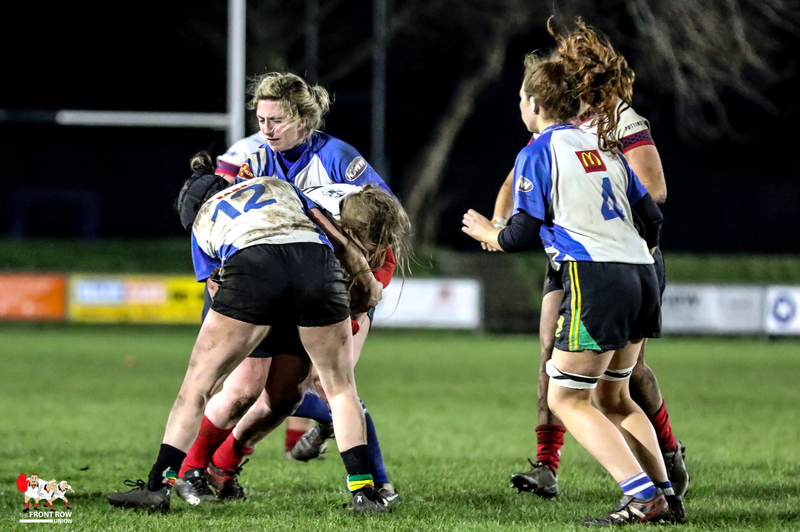 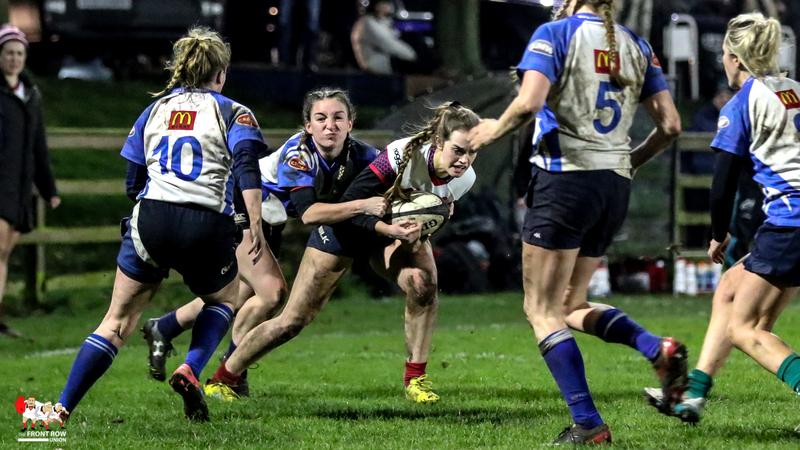 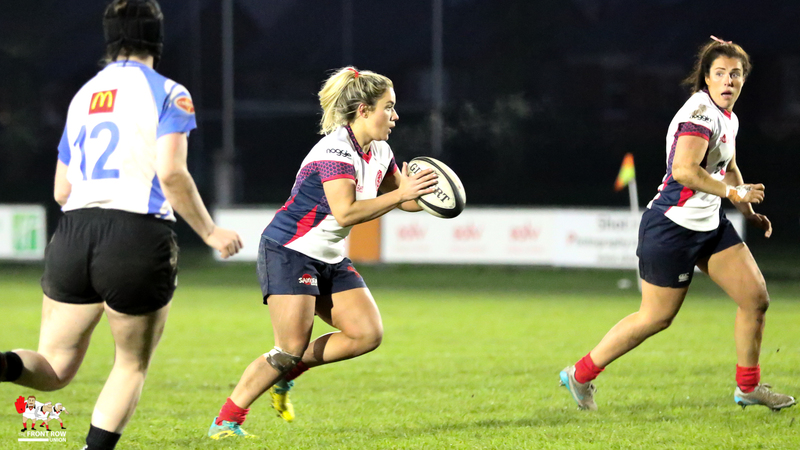 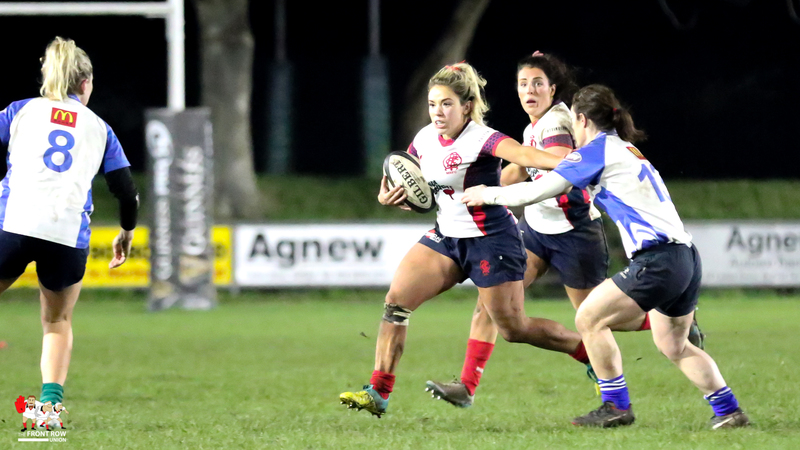 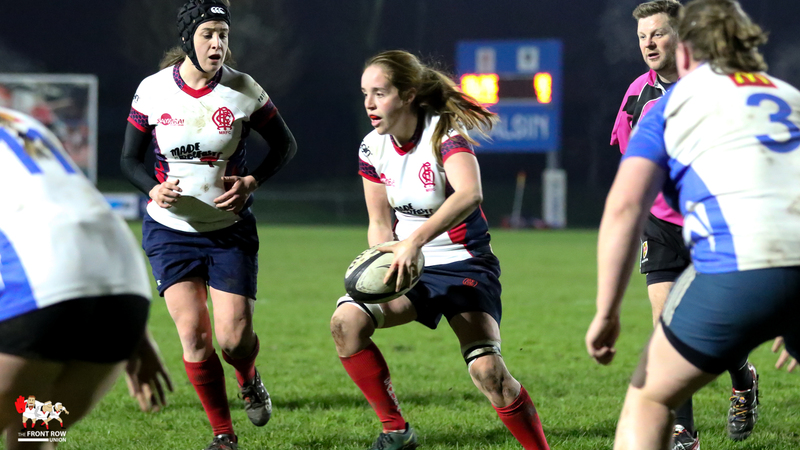 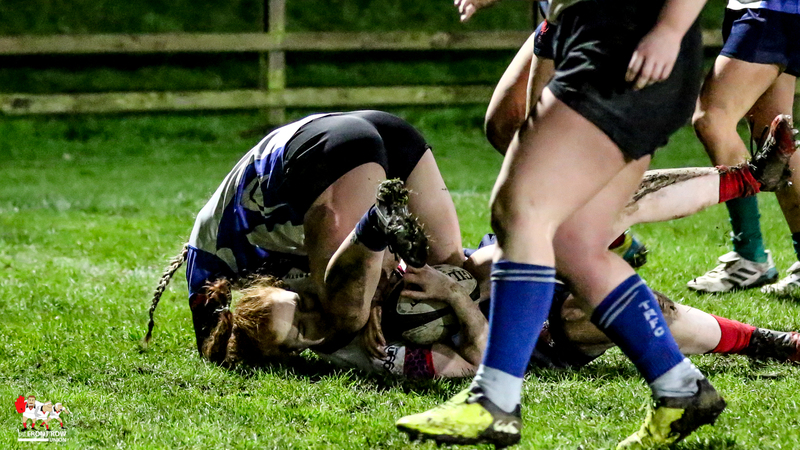 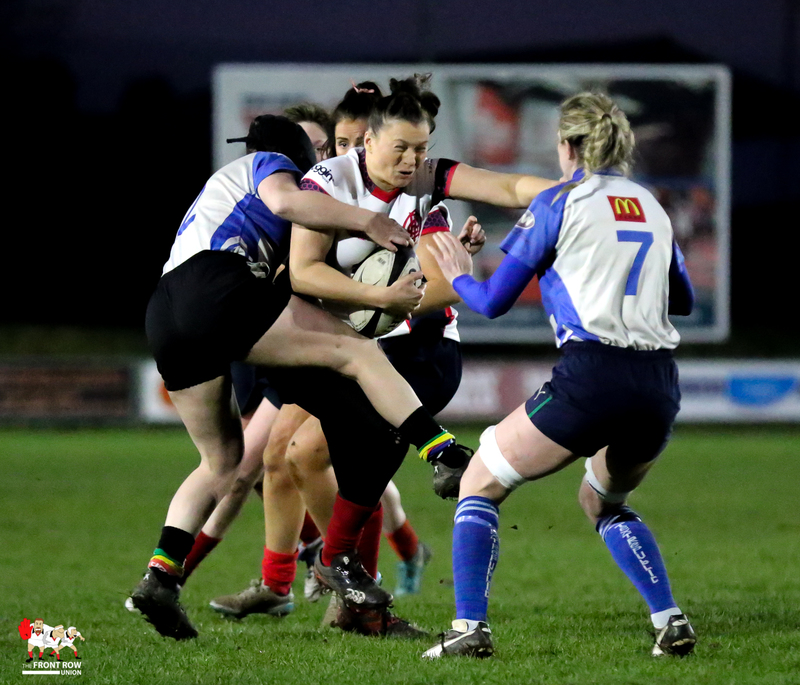 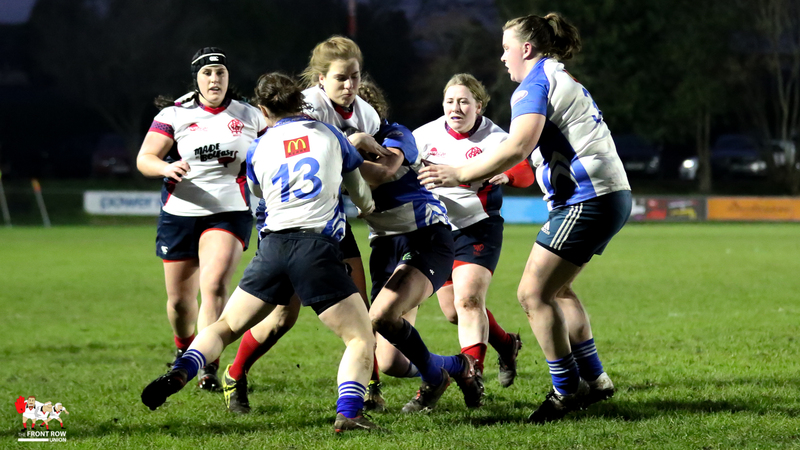 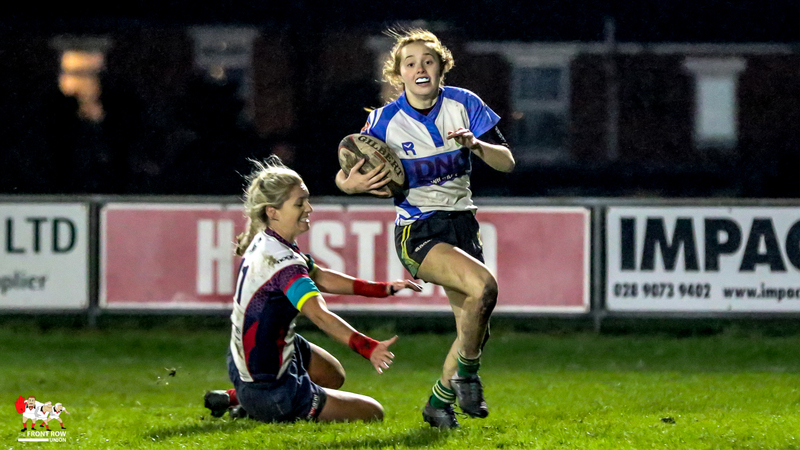 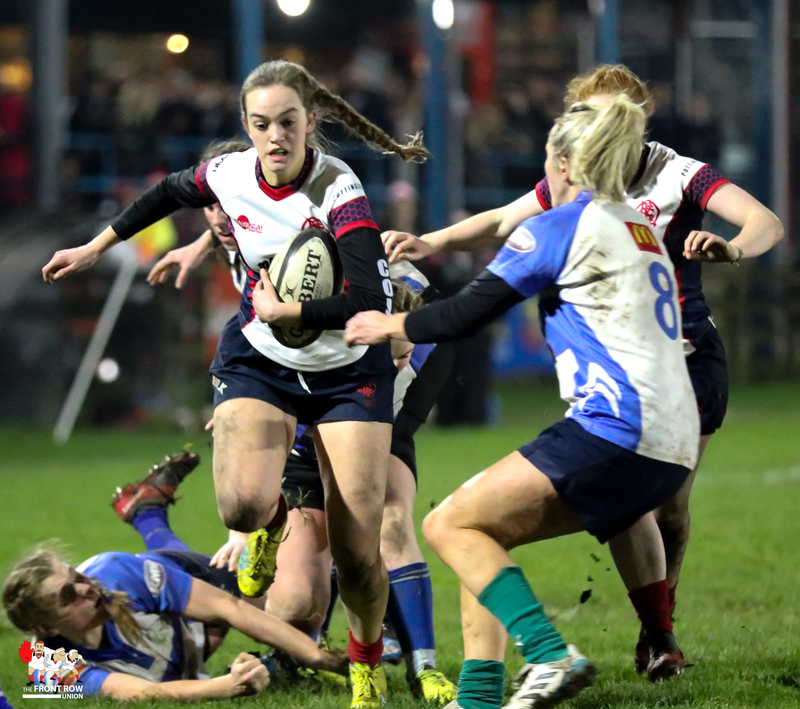 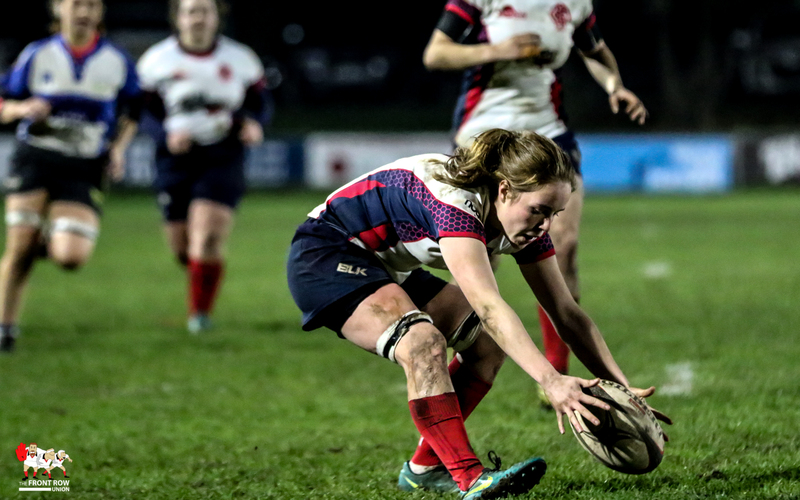 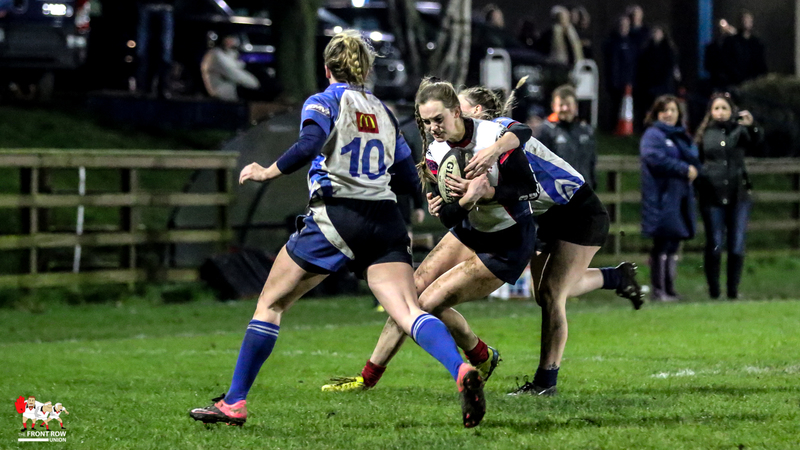 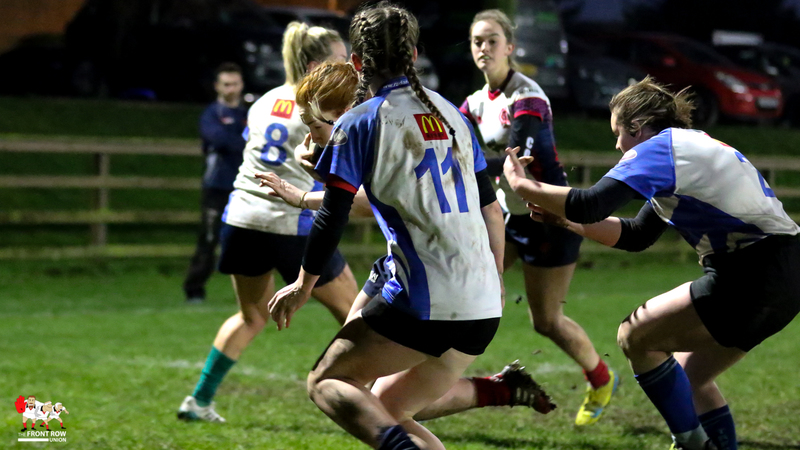 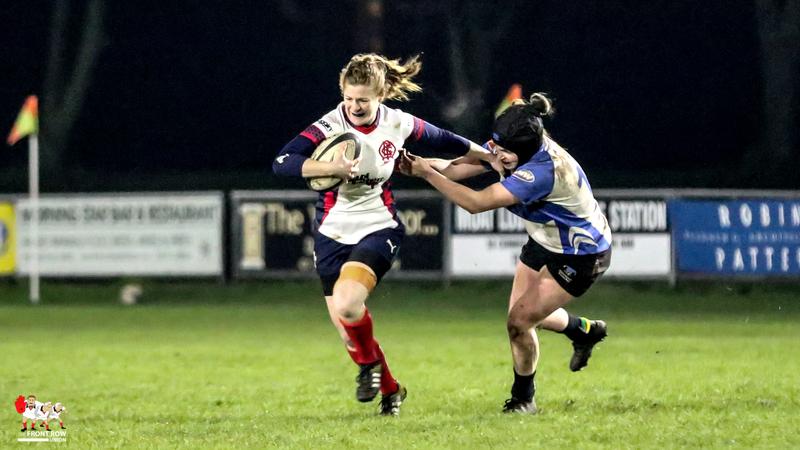 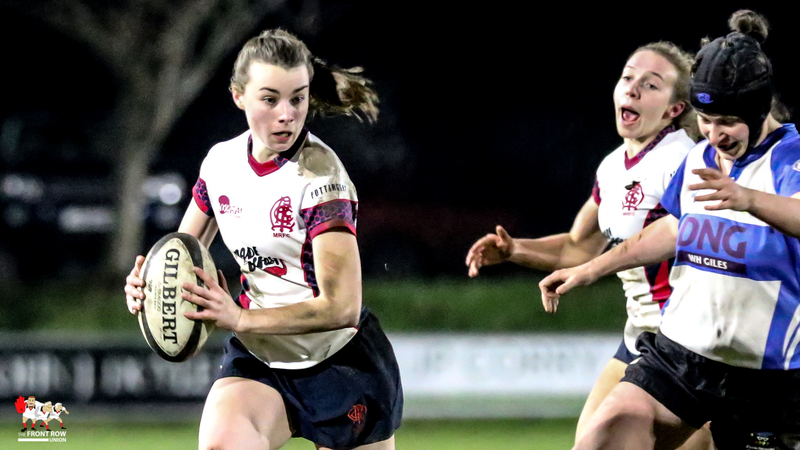 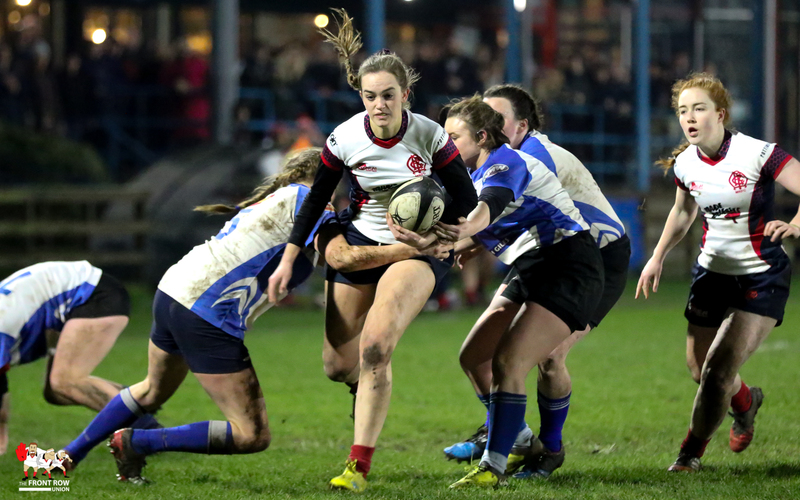 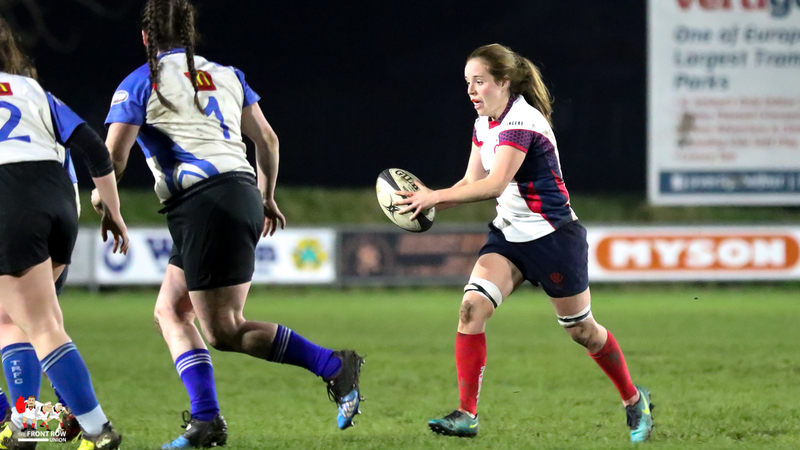 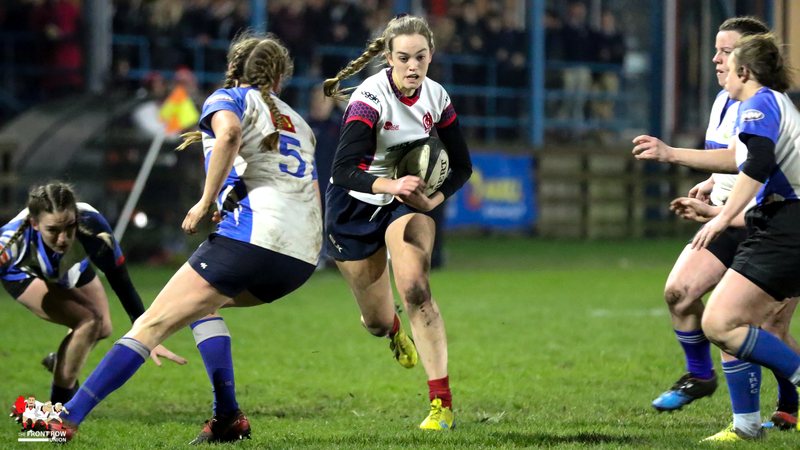 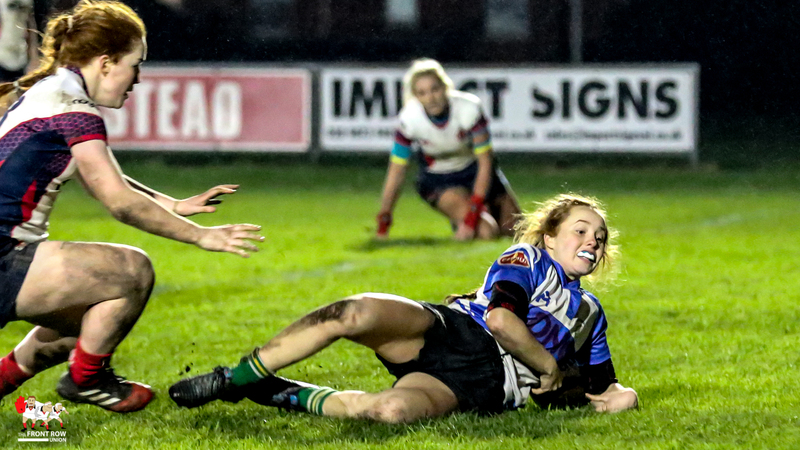 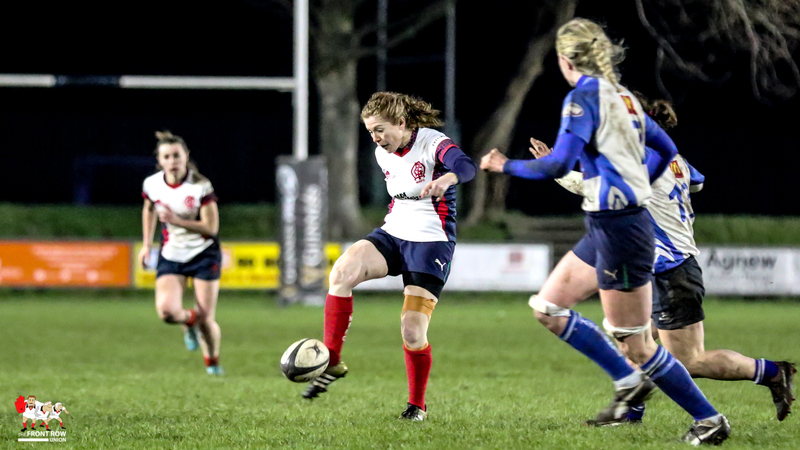 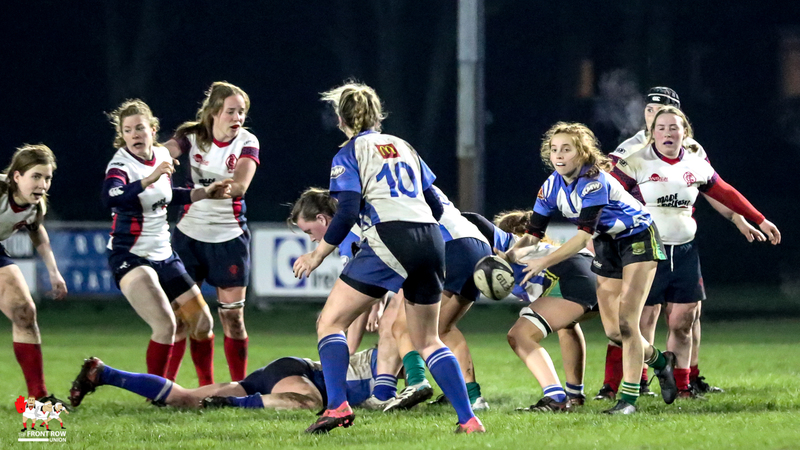 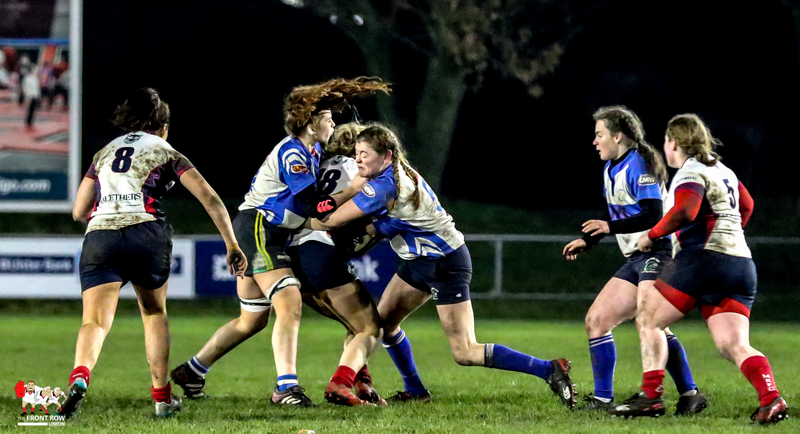 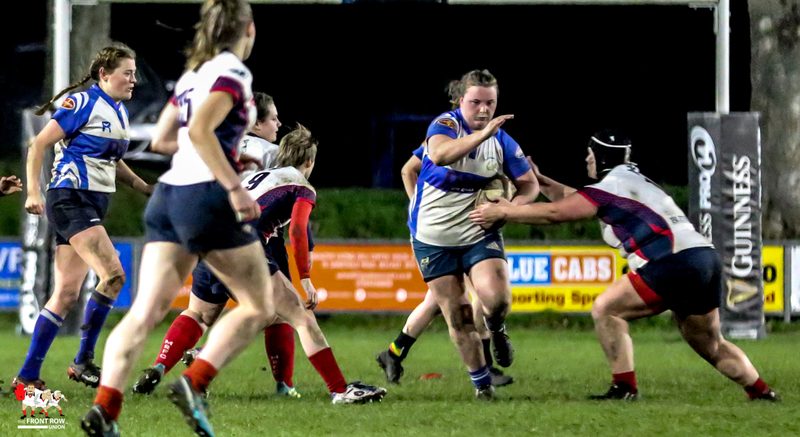 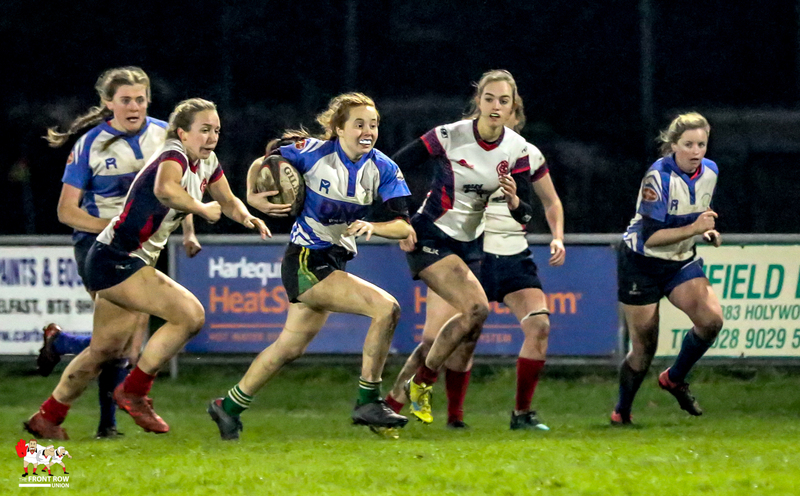 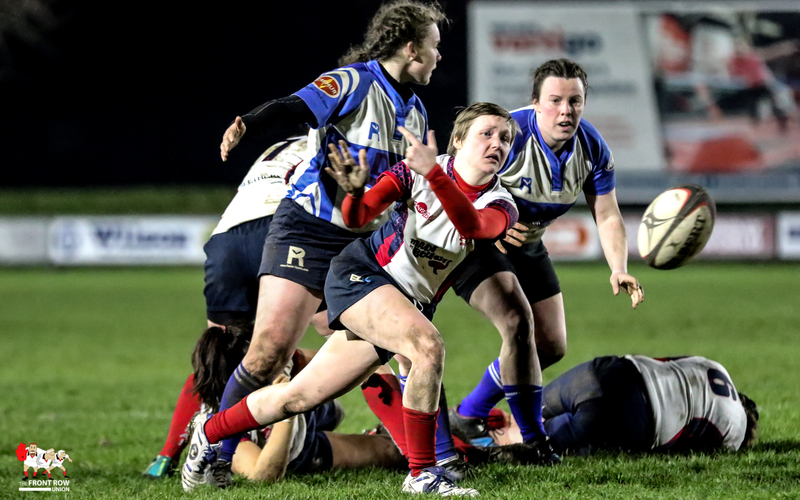 However the home side regrouped and, after a concerted effort, Ella Durkan battled her way to the try line to pull the score back to 5 – 12 at the start of the second quarter. 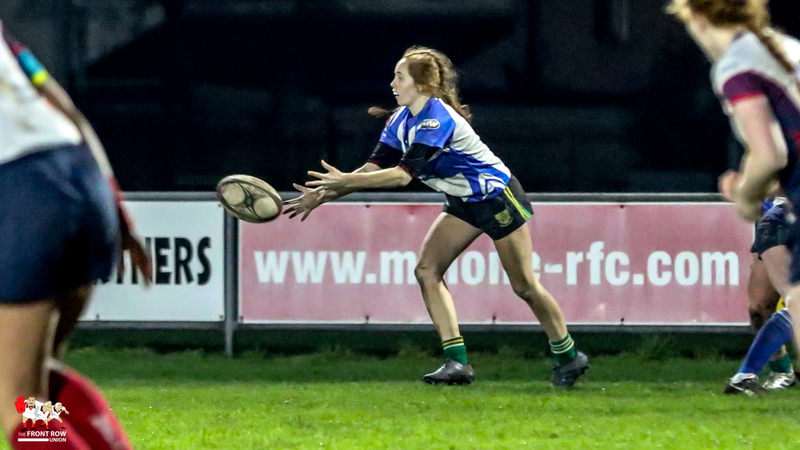 The teams continued to battle it out for the remainder of the half as Malone came more into the game but crucially it was the visitors who got the next score with Noreen Murphy touching down just before the break to give Tralee a 5 – 17 lead. 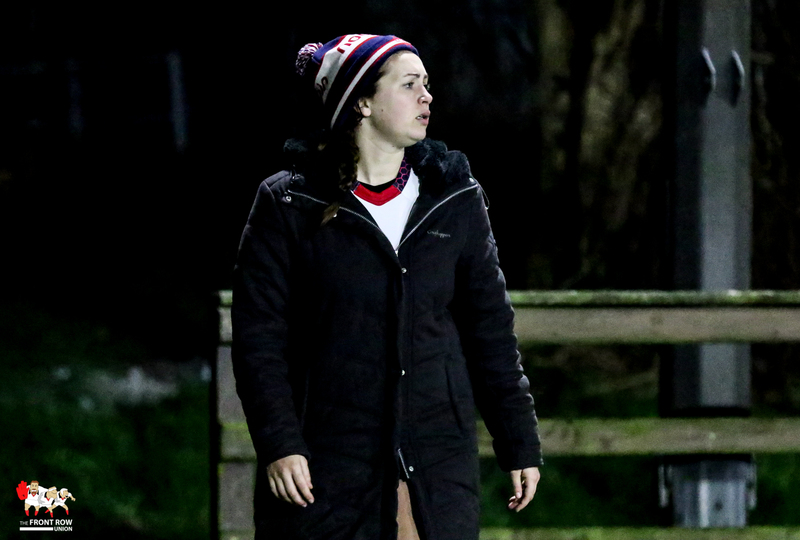 Malone pushed hard throughout the second half with player/coach Grace Davitt leading the way. 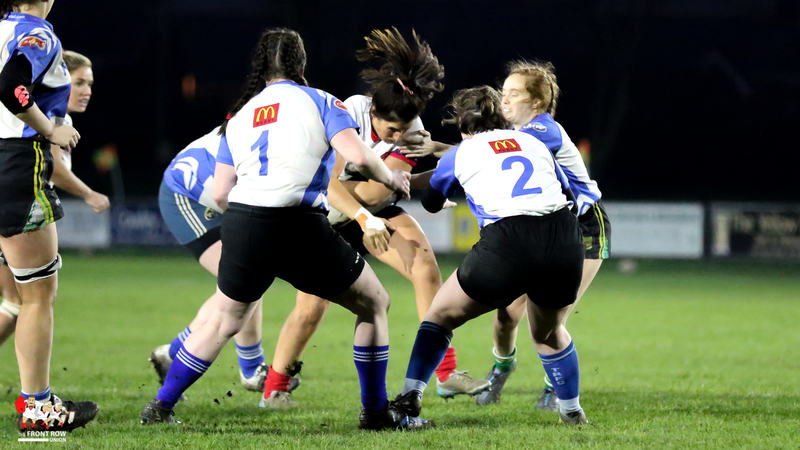 However, the greater match experience and the steely defence of the visitors, led by Ireland Women’s veteran Siobhán Fleming, was able to rebuff all that was thrown at them. 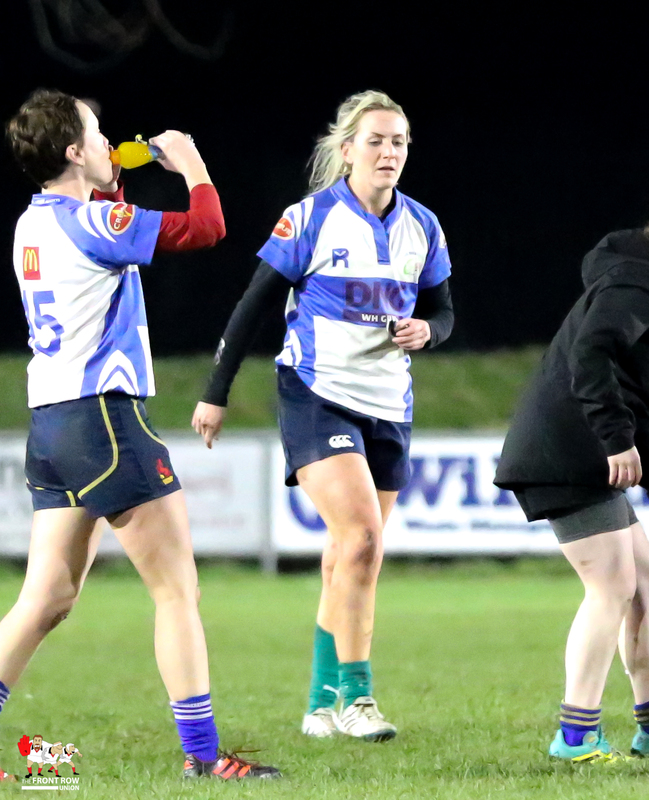 Tralee had the final word in an enthralling match. 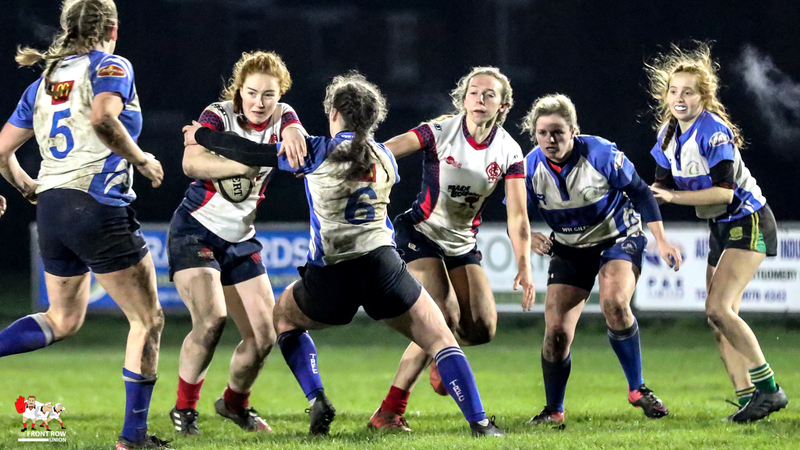 Their impressive scrum half Muirne Wall outstripped the Malone defence to circle round under the posts for the only try of the half. 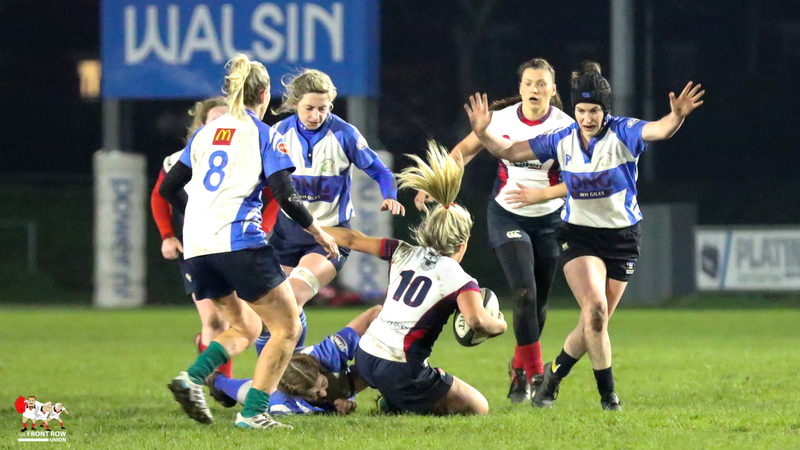 O’Driscoll added the conversion to give a final score of Malone 5 Tralee 24. 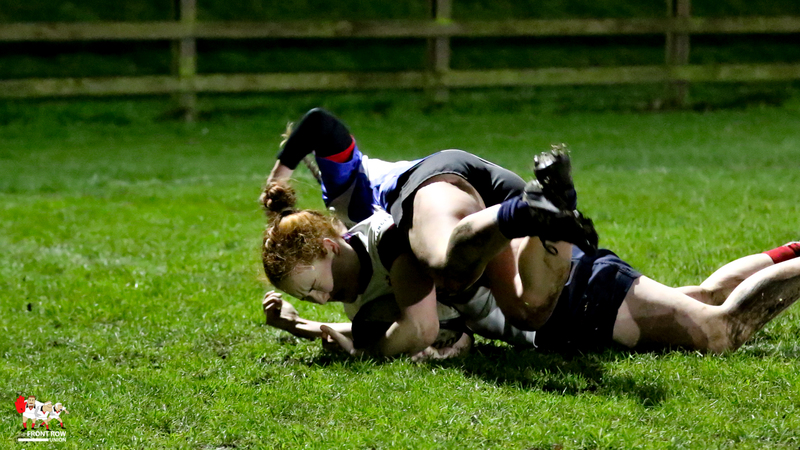 I really enjoyed this game. 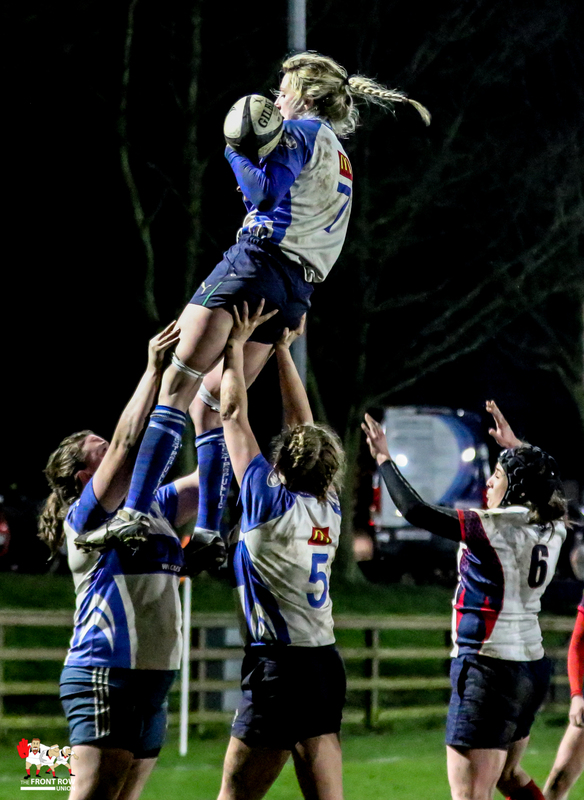 I think it’s three years since Siobhán Fleming retired from International Rugby and her home club Tralee are reaping the benefit as this was a team performance in her image – slick, pacy and with a steely edge. 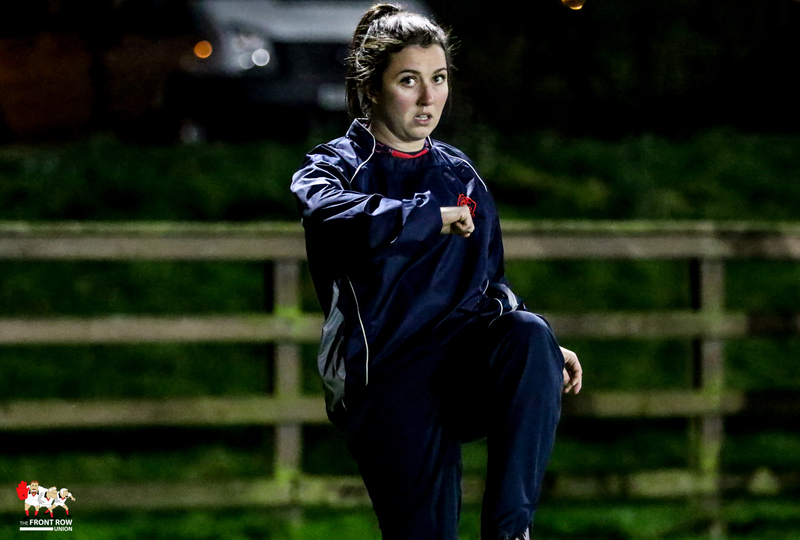 Malone have also improved substantially during Grace Davitt’s first season in charge and they weren’t that far off the pace, the Ulster side just need more games like this for Davitt to work her magic. 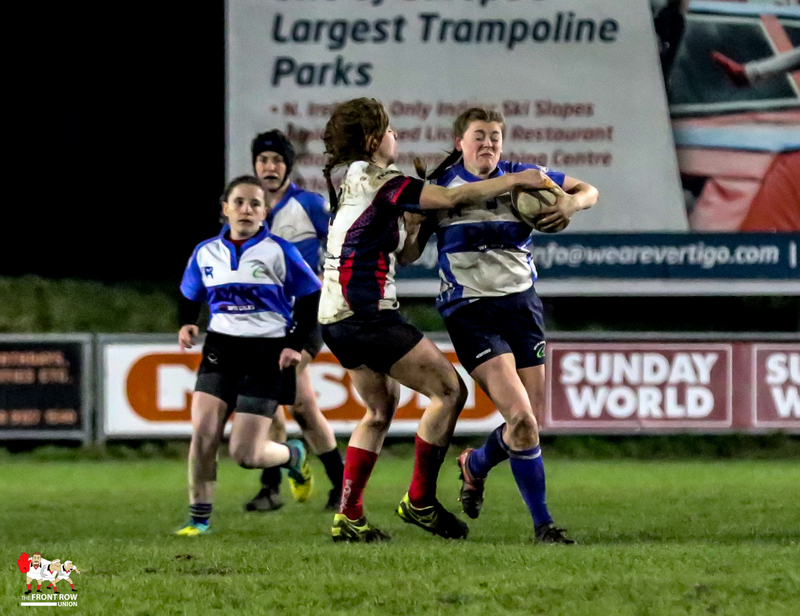 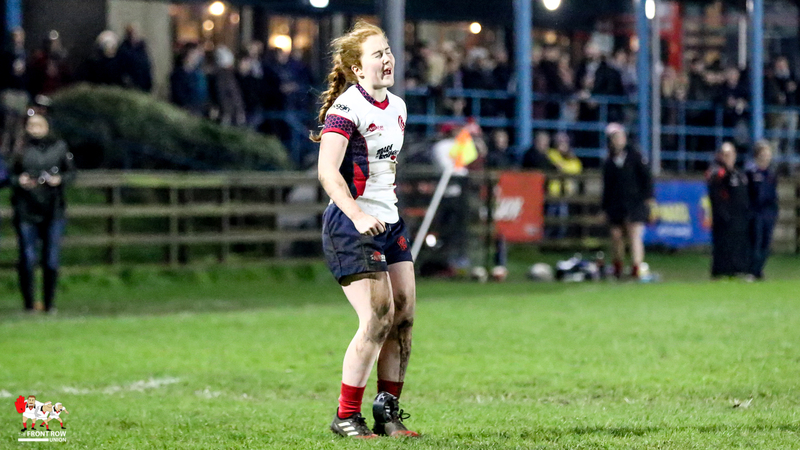 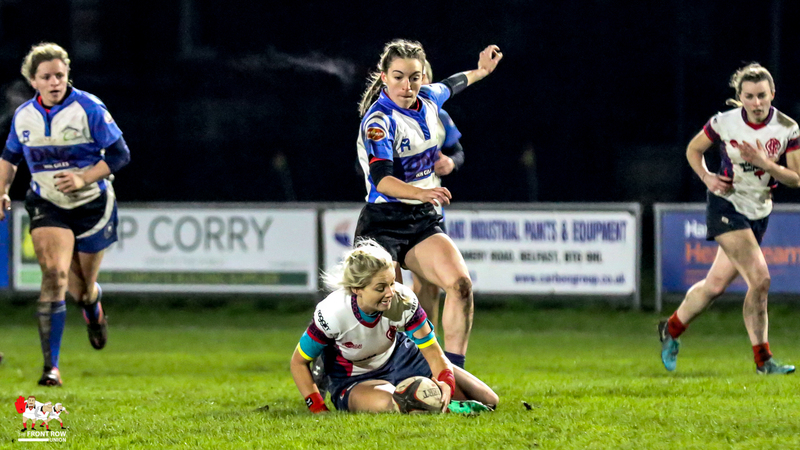 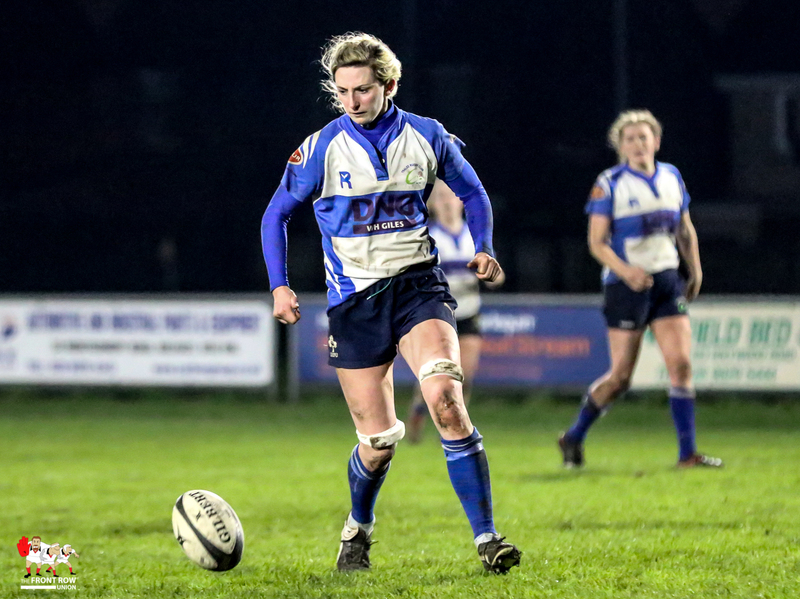 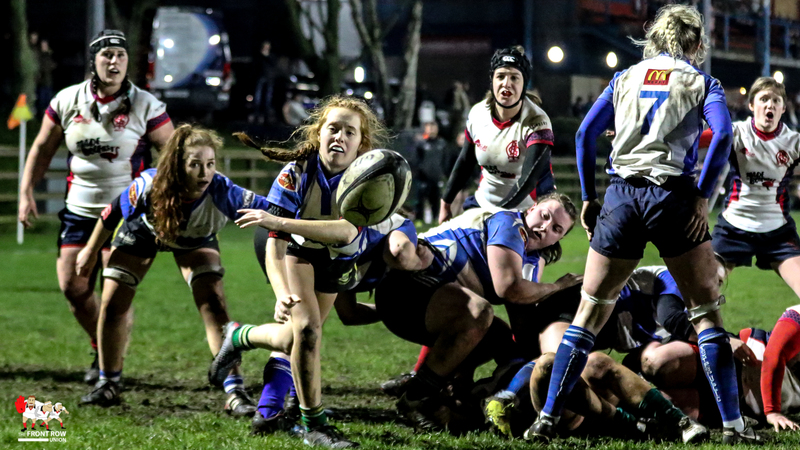 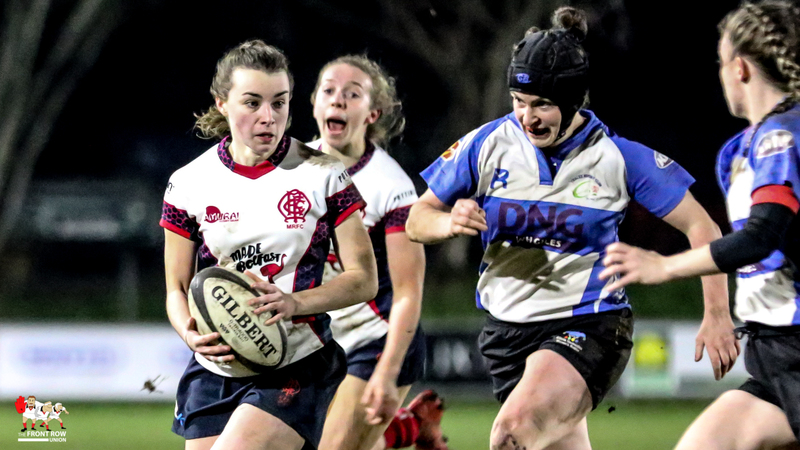 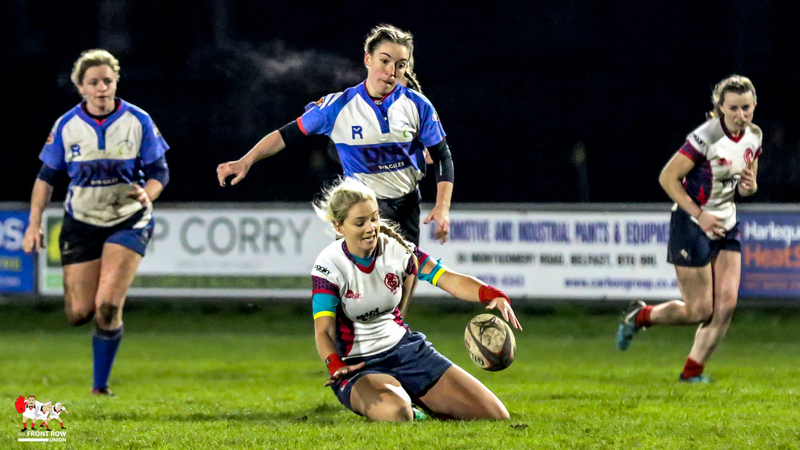 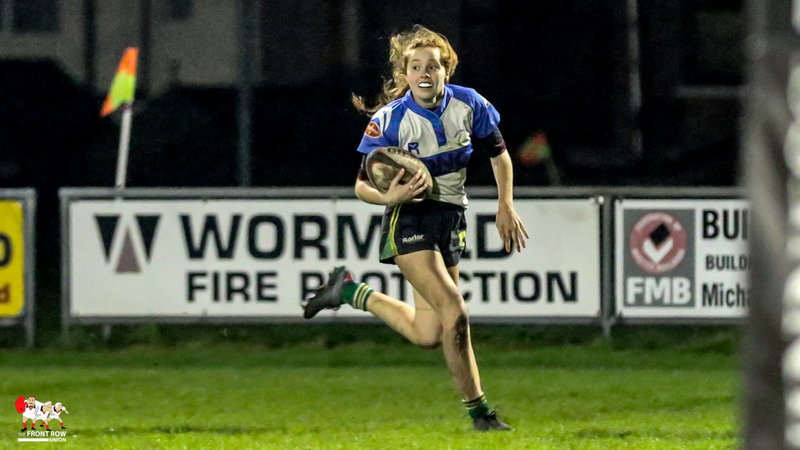 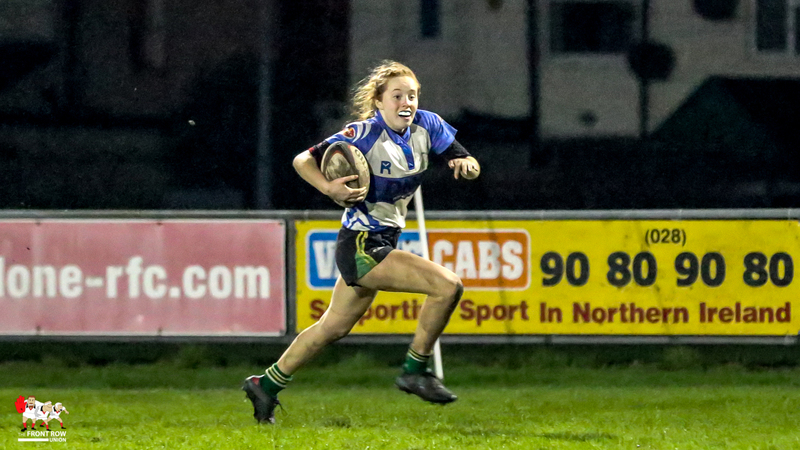 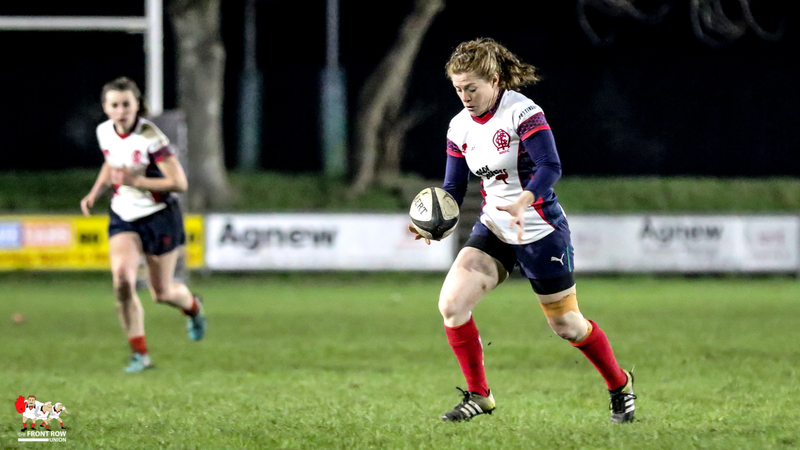 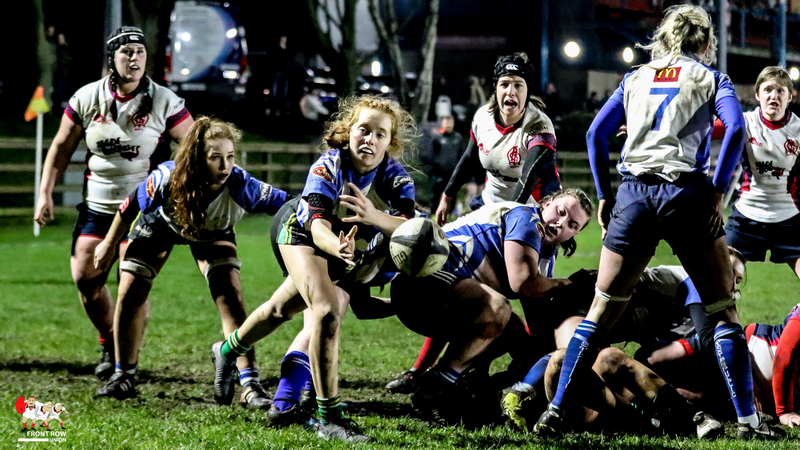 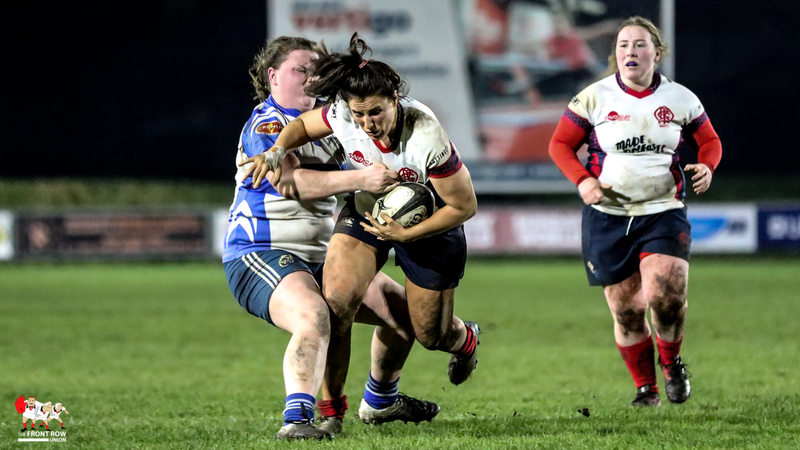 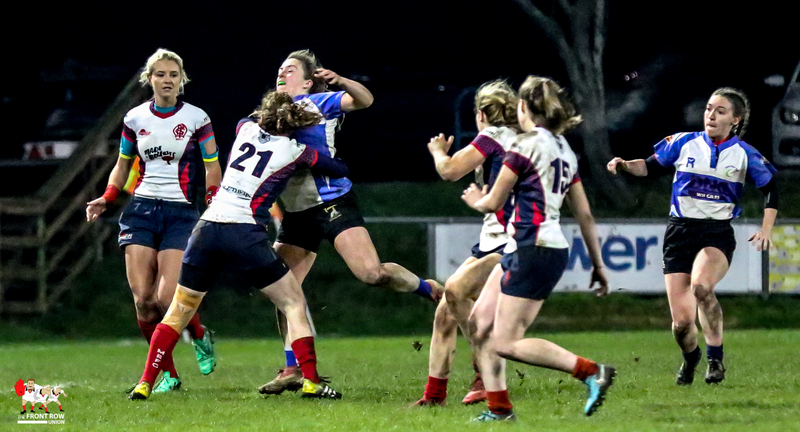 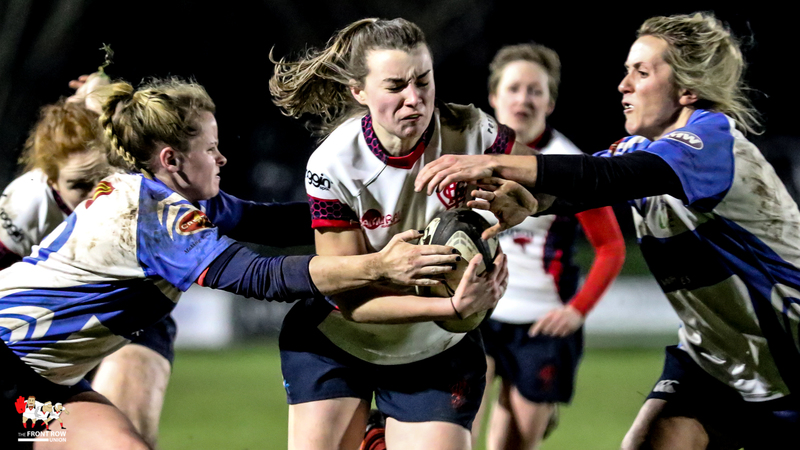 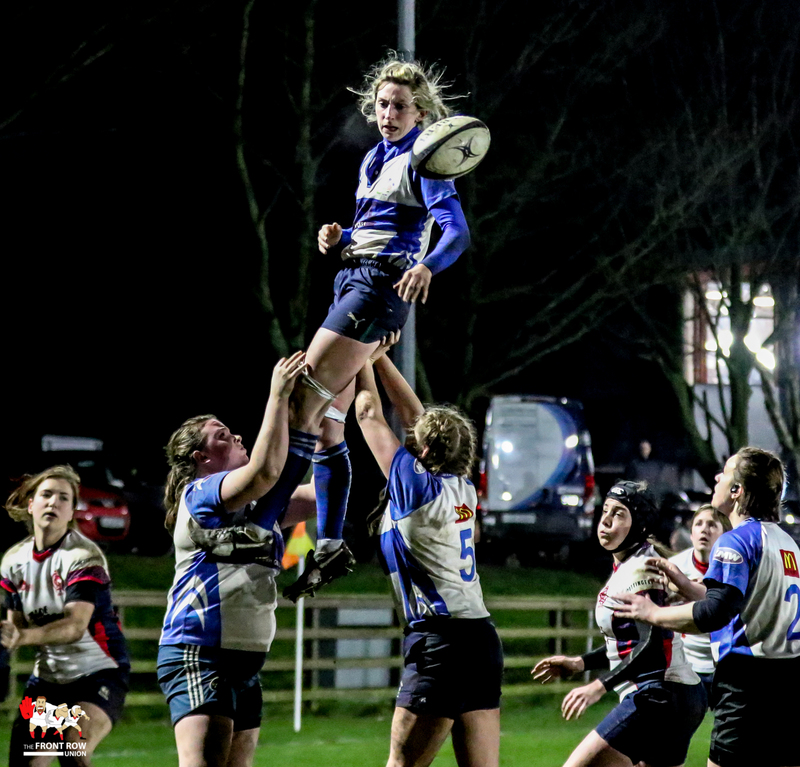 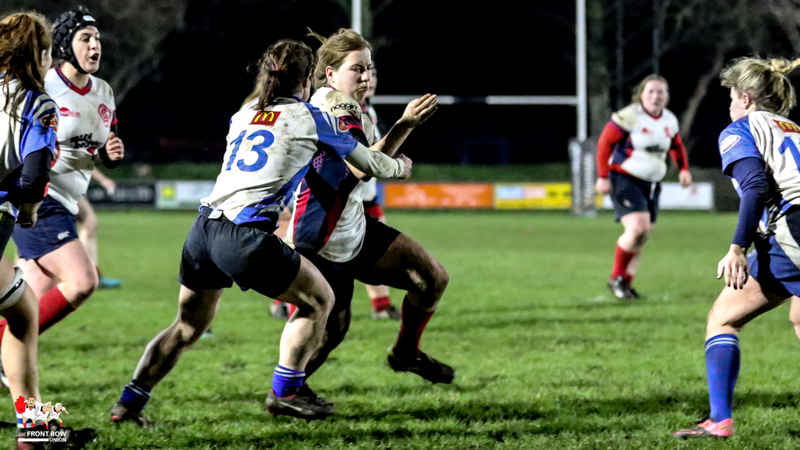 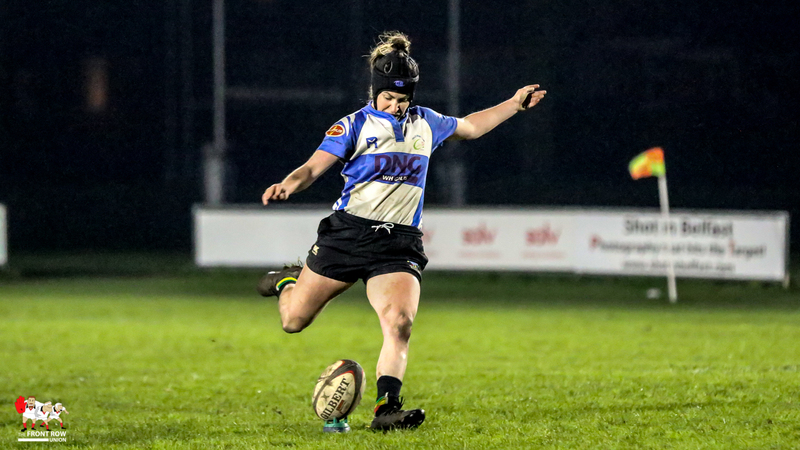 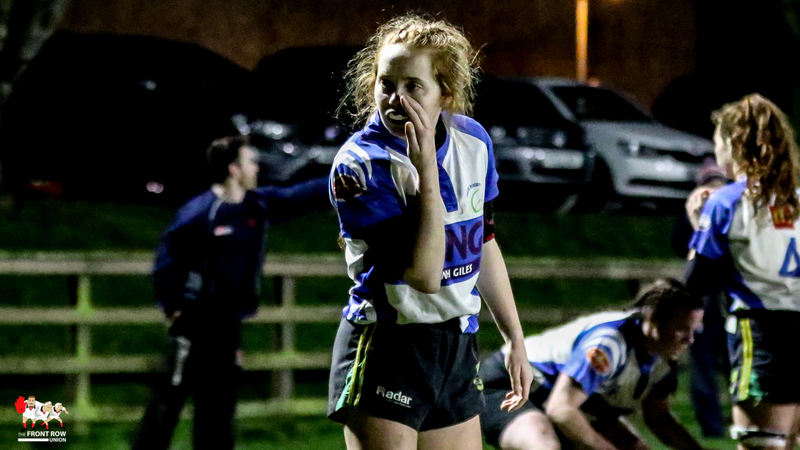 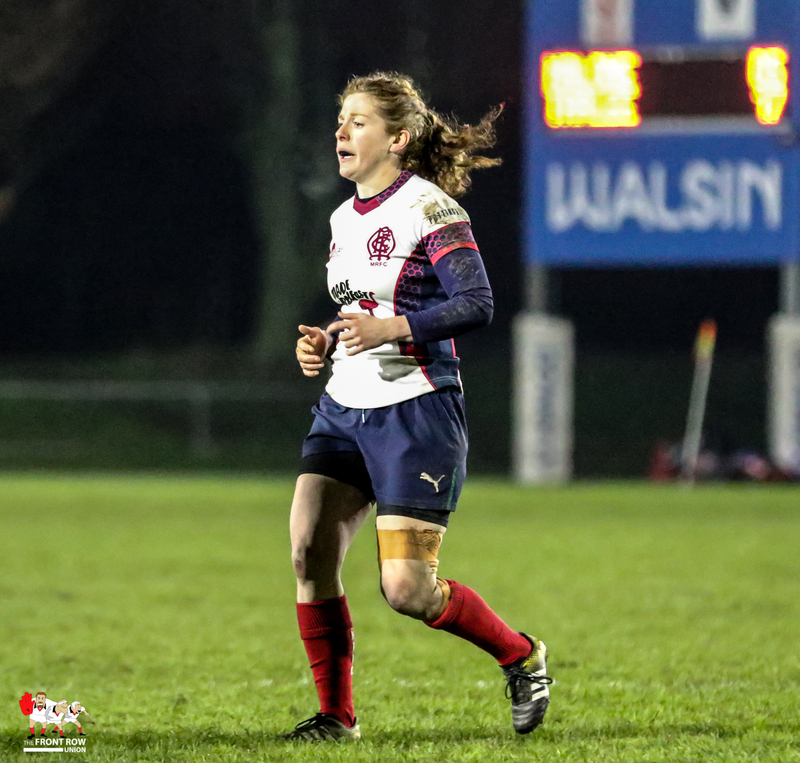 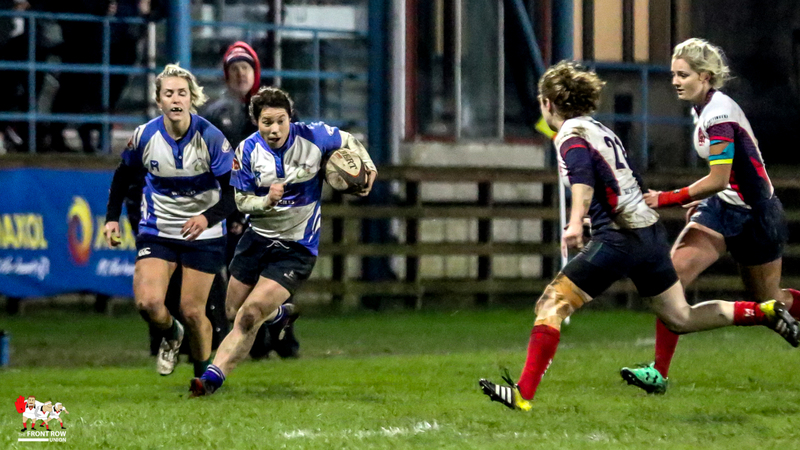 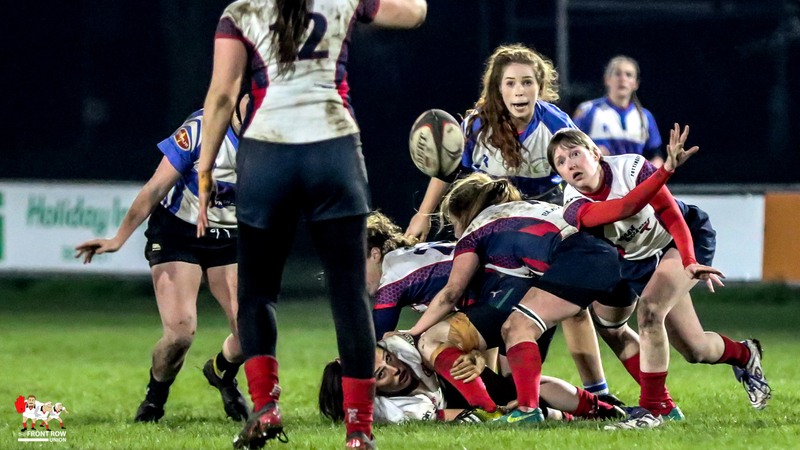 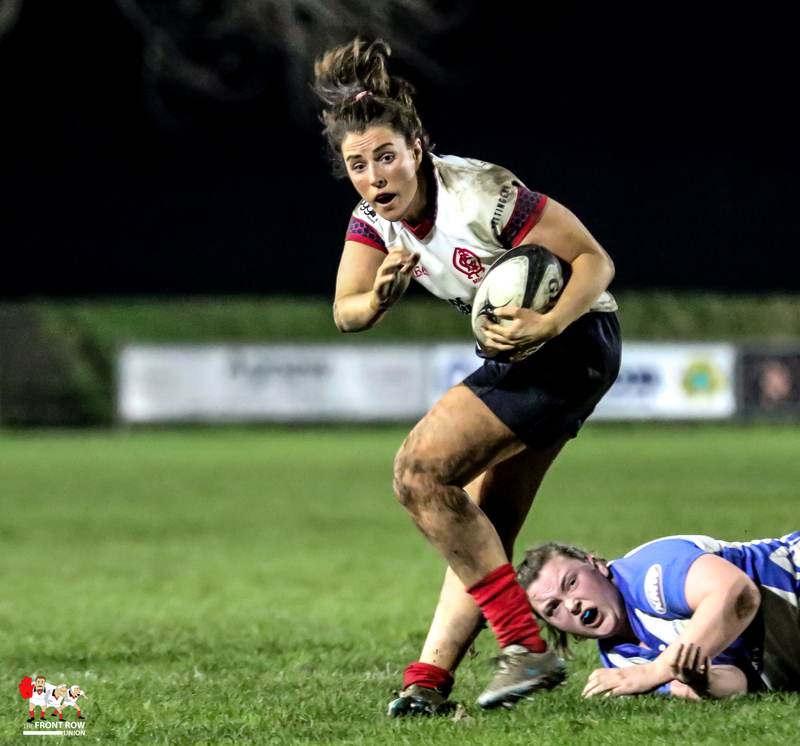 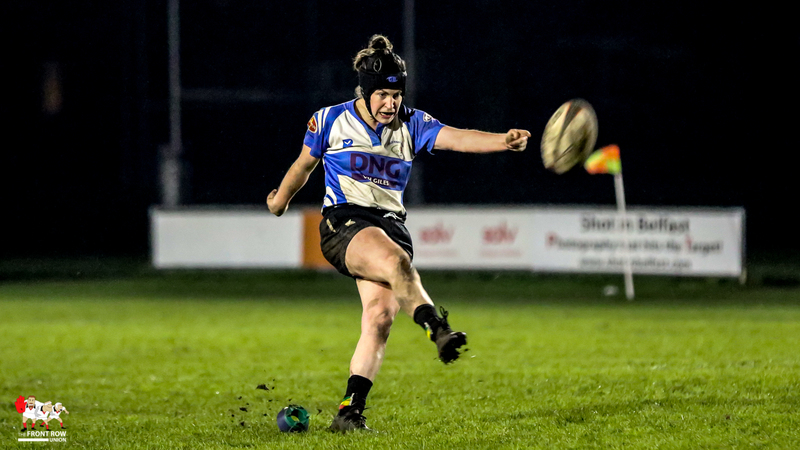 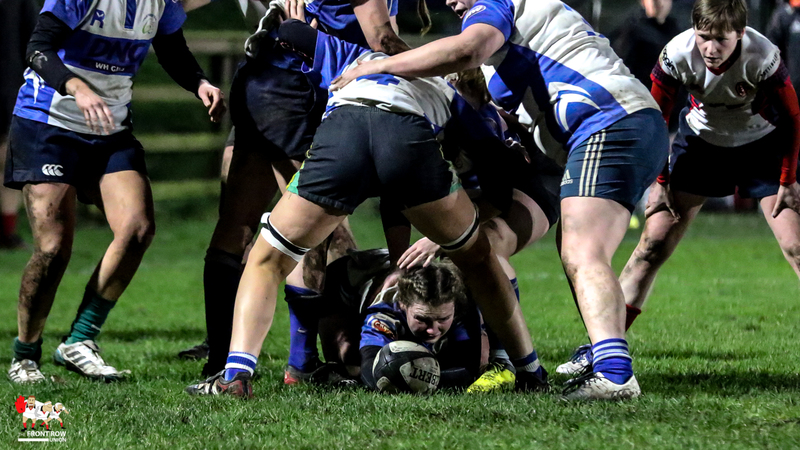 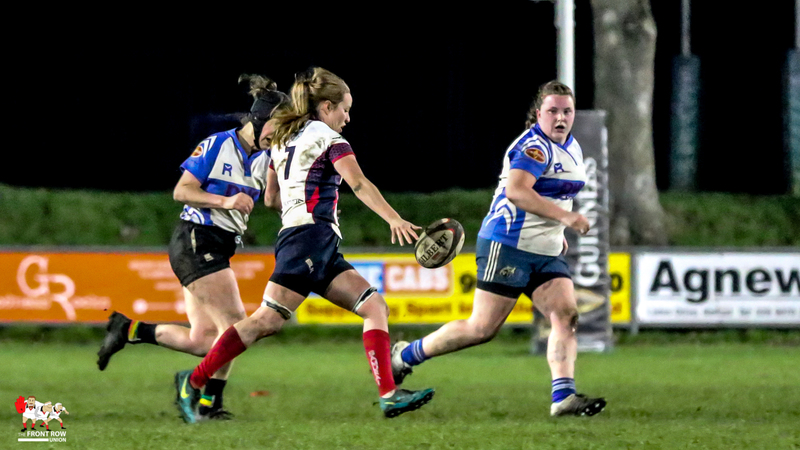 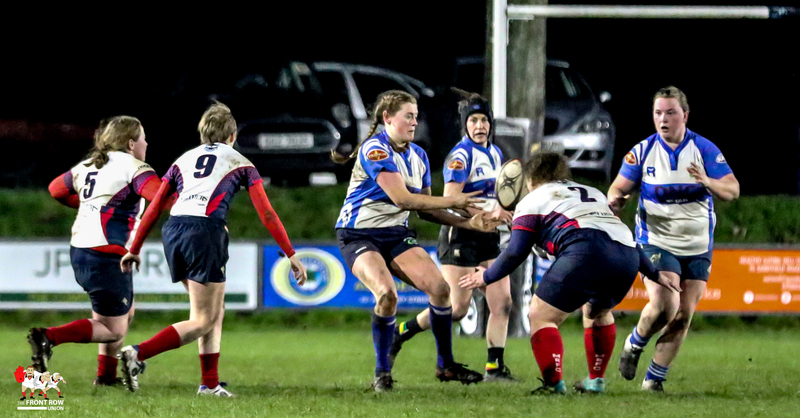 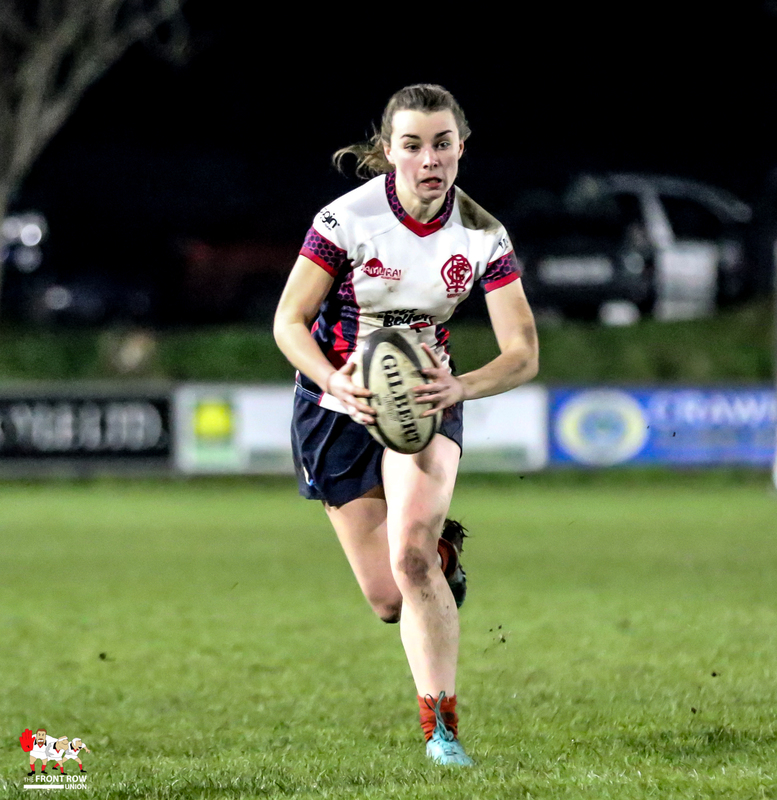 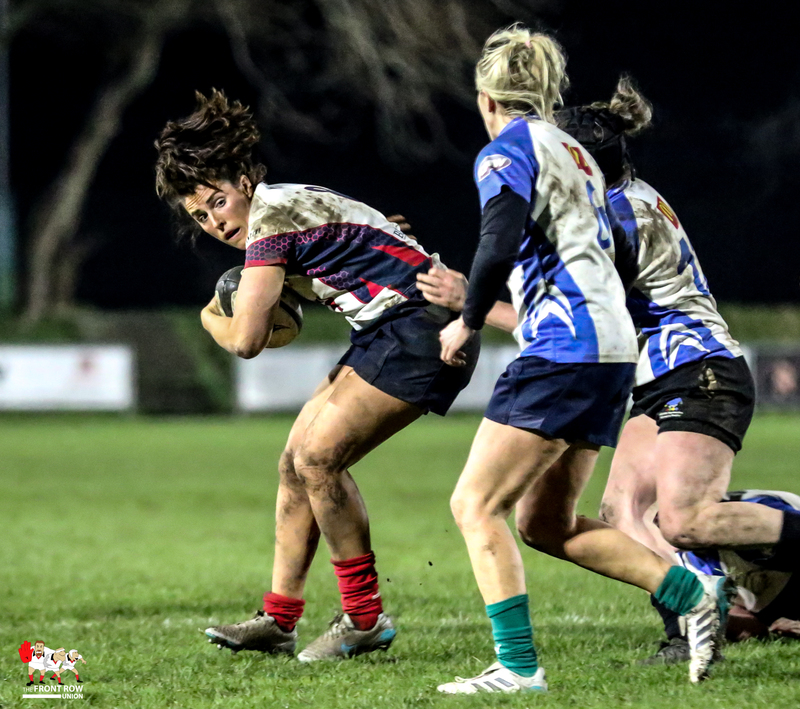 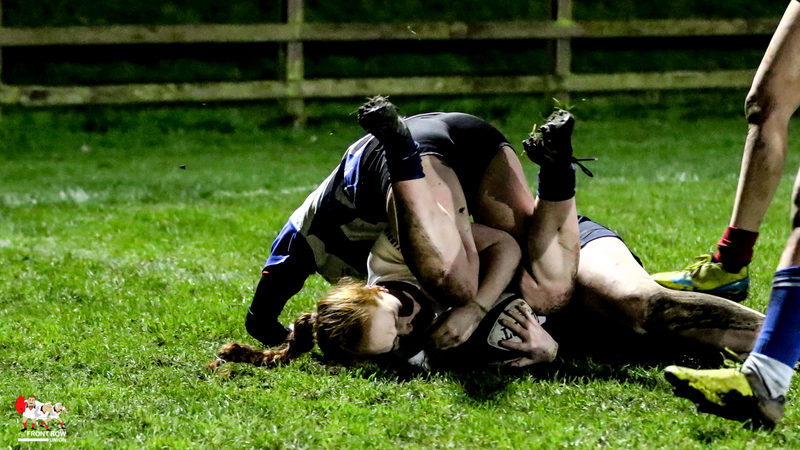 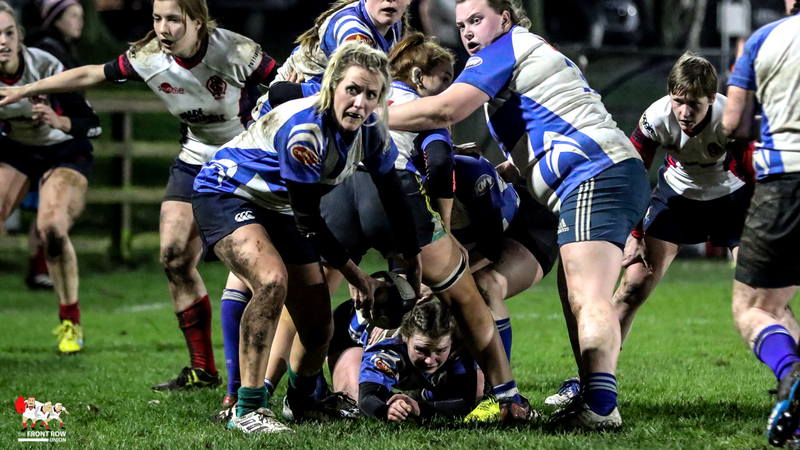 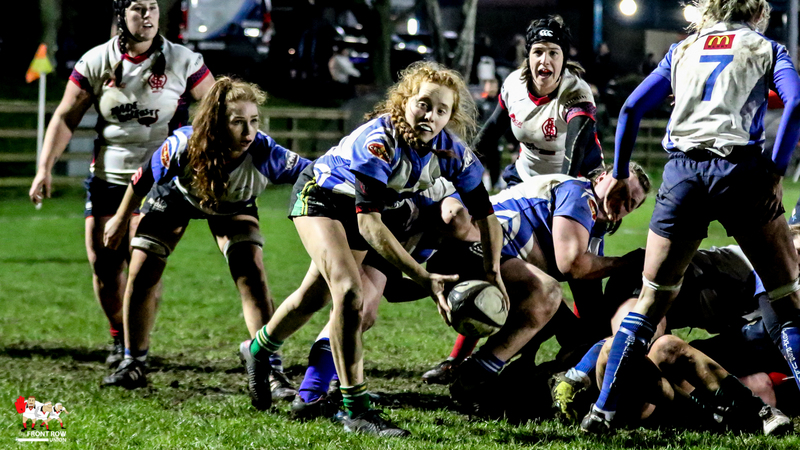 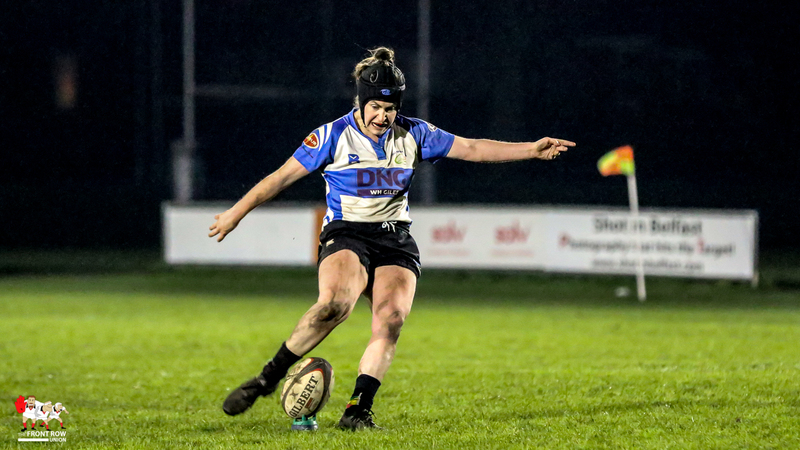 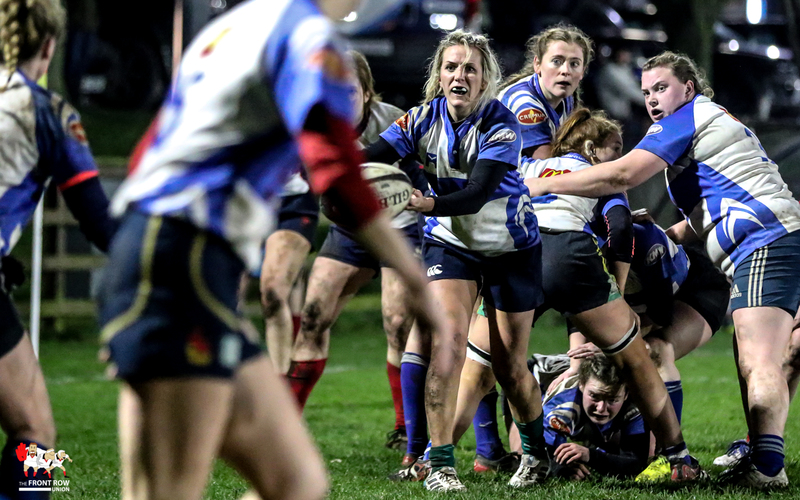 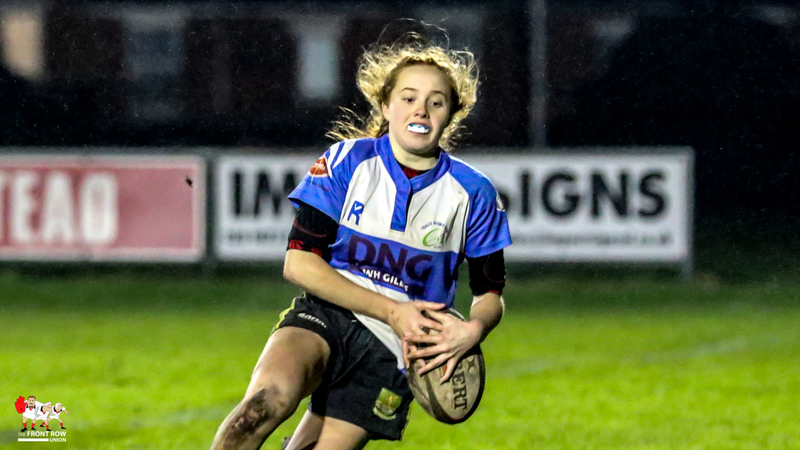 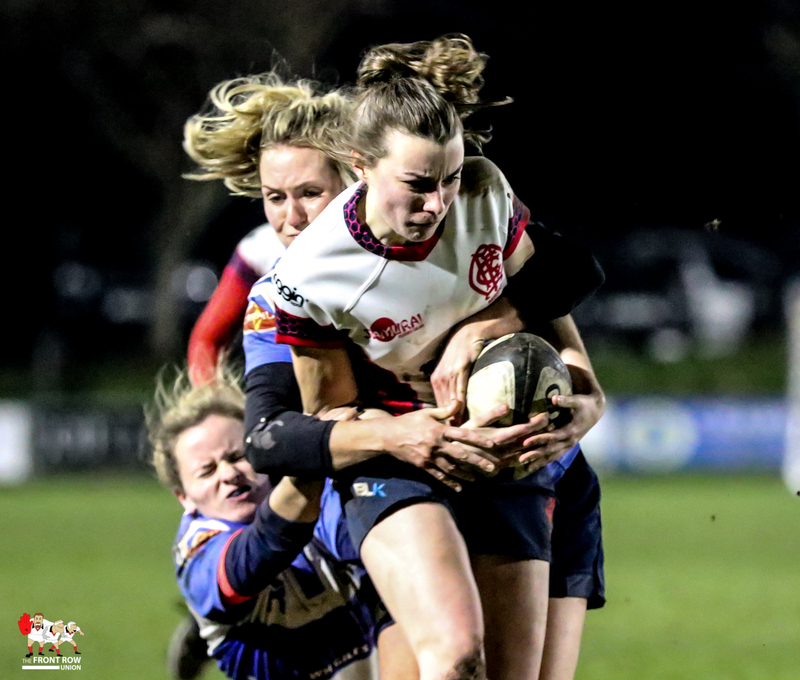 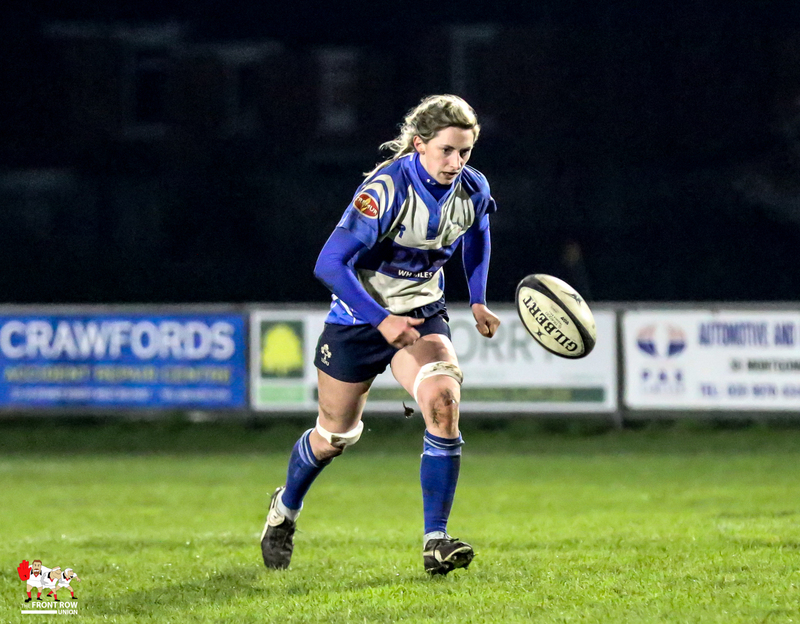 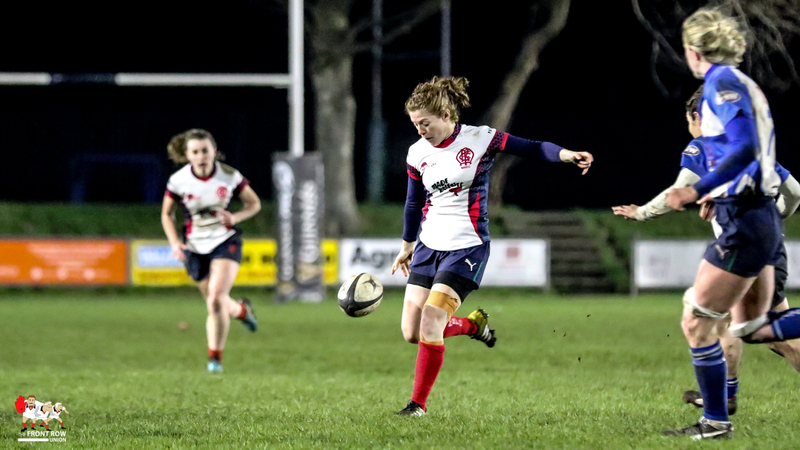 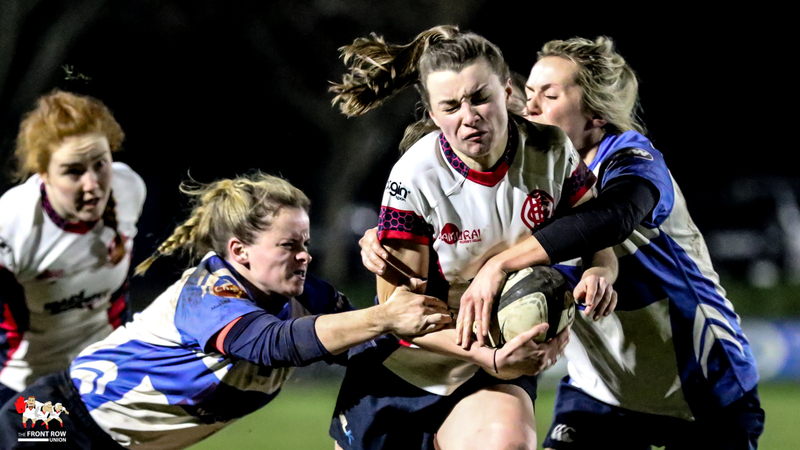 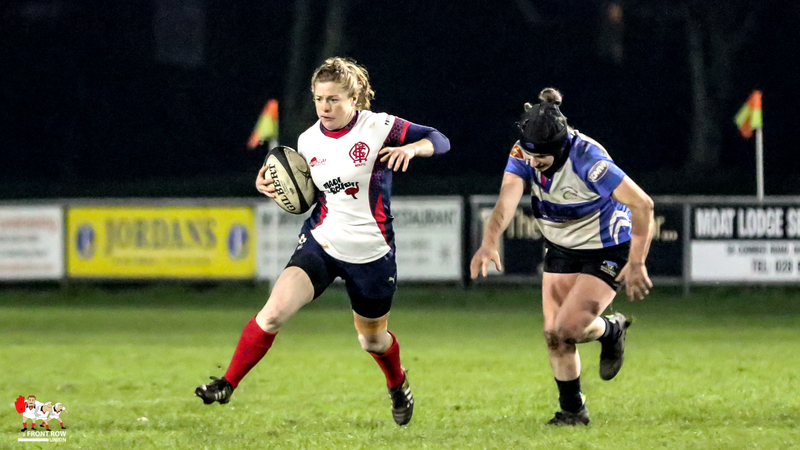 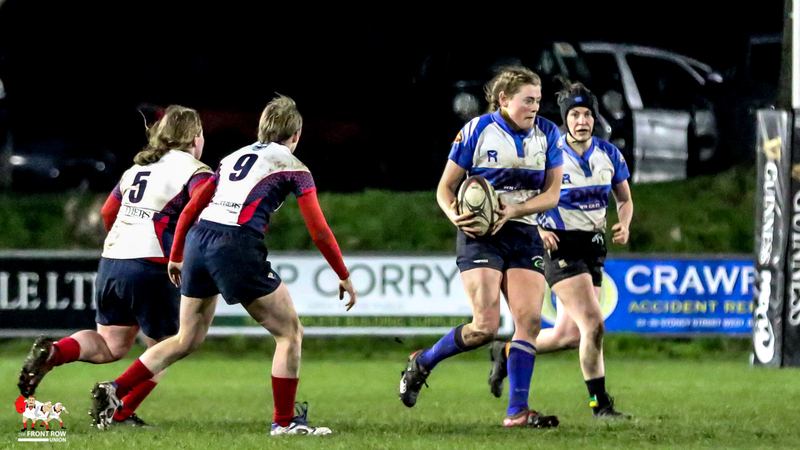 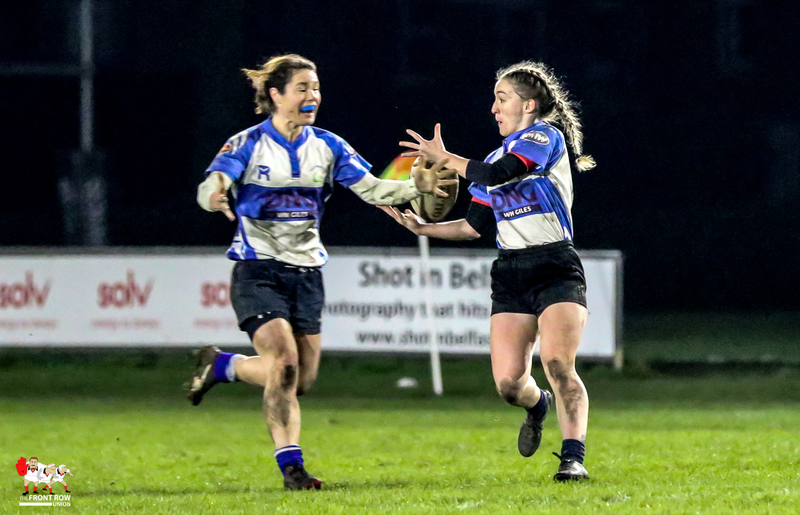 Great article and great pictures – one minor correction, Siobhán Fleming has been with Tralee throughout her entire rugby career and continues to be an inspiration to all players, especially the ‘newbies’ on and off the field. 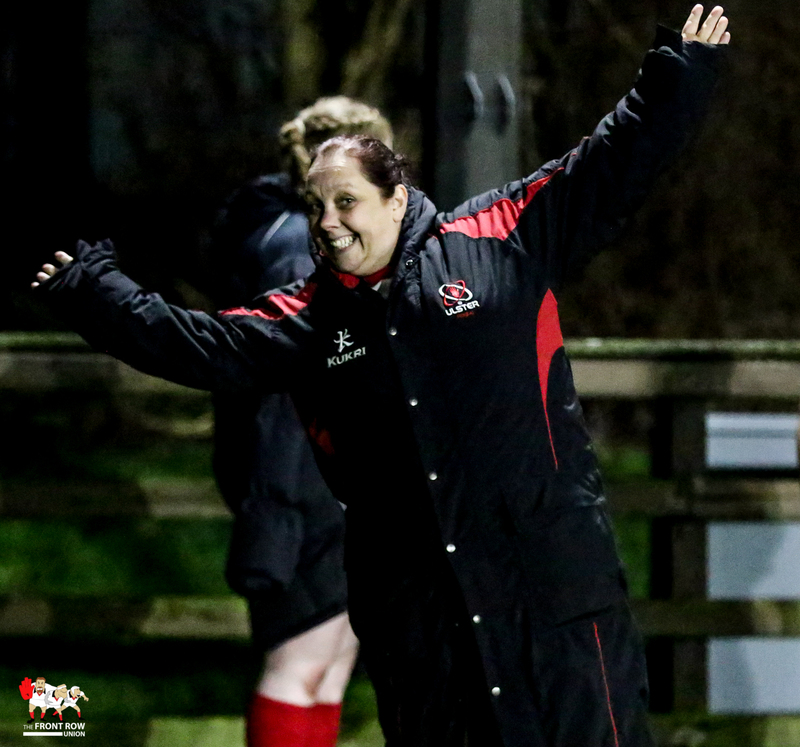 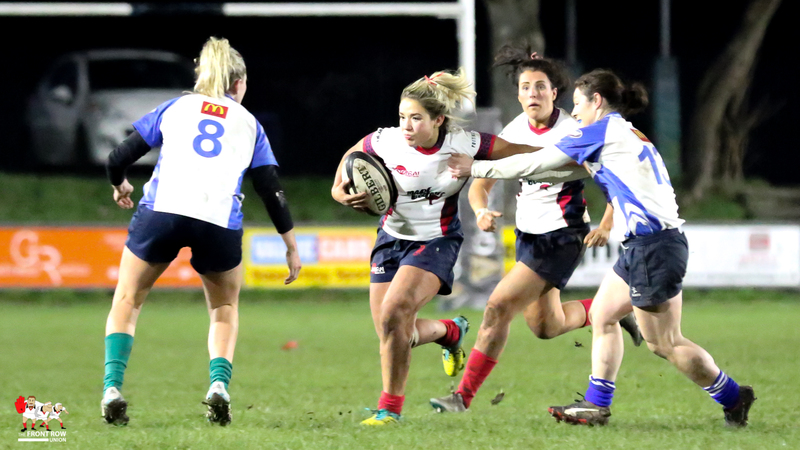 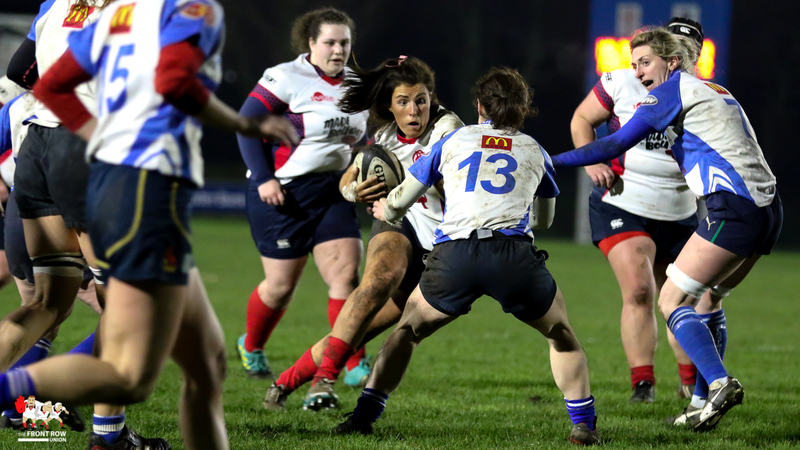 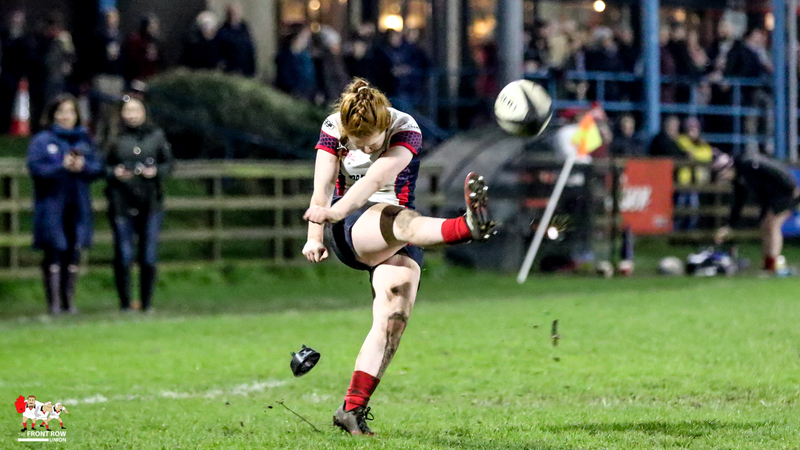 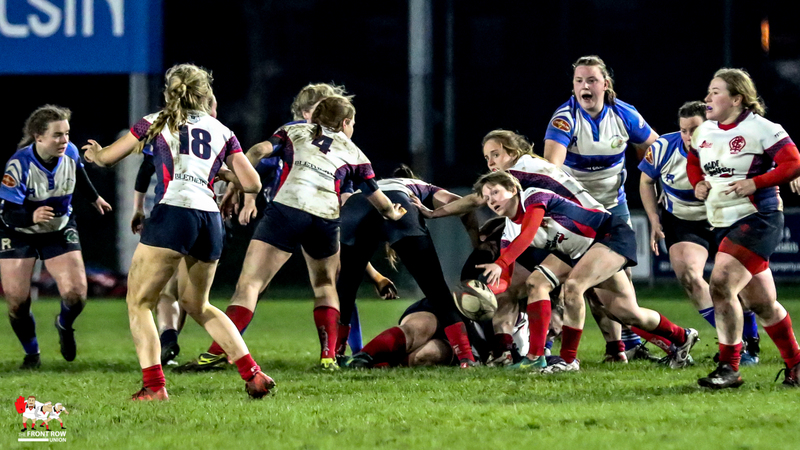 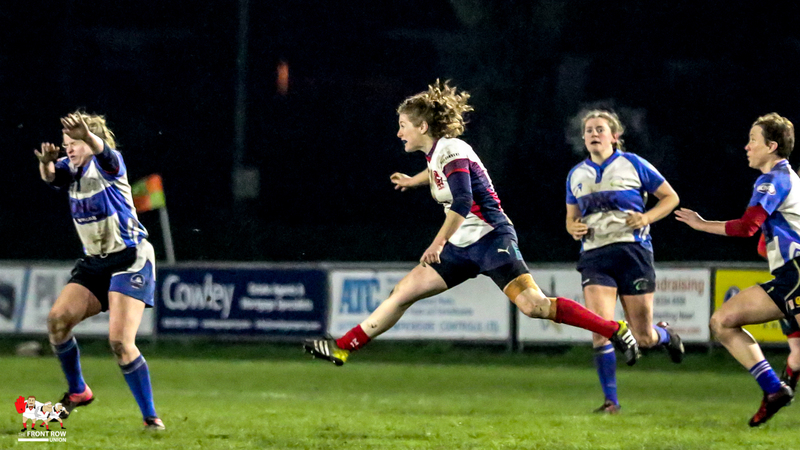 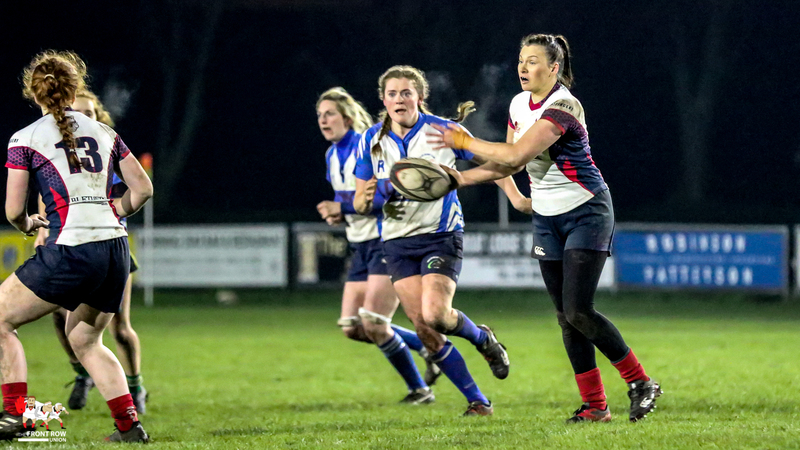 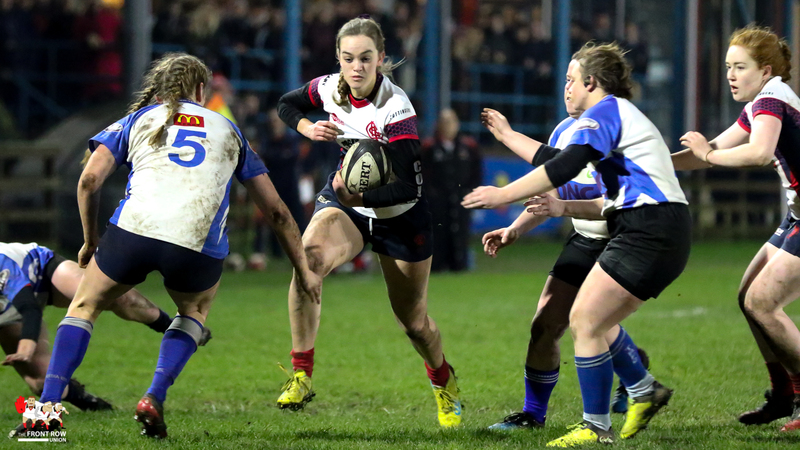 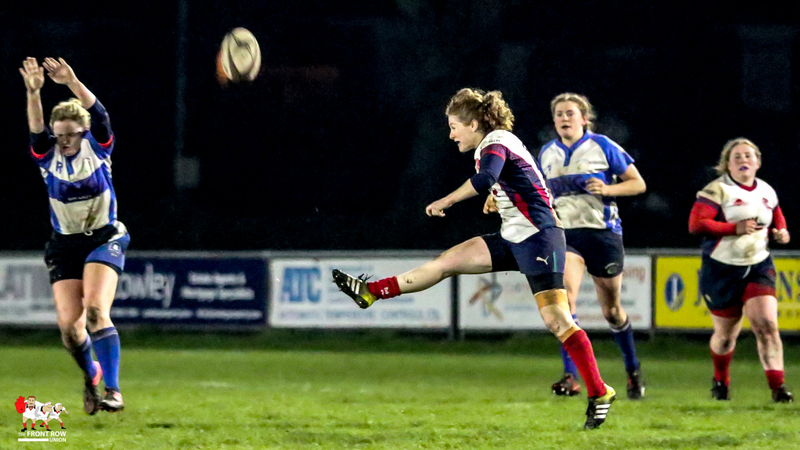 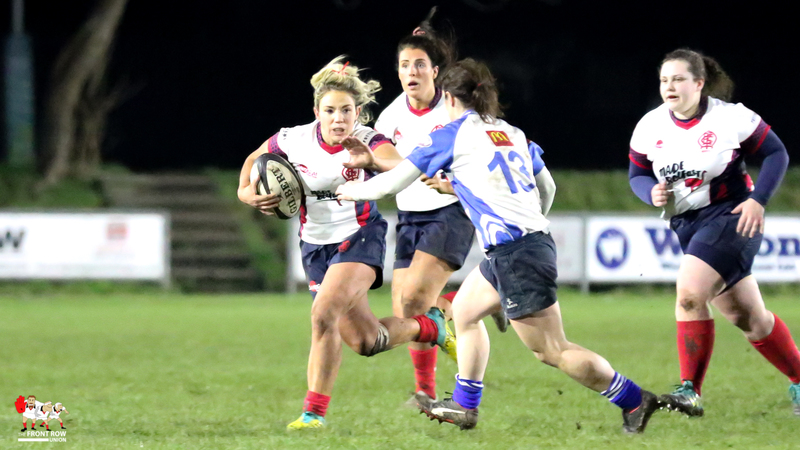 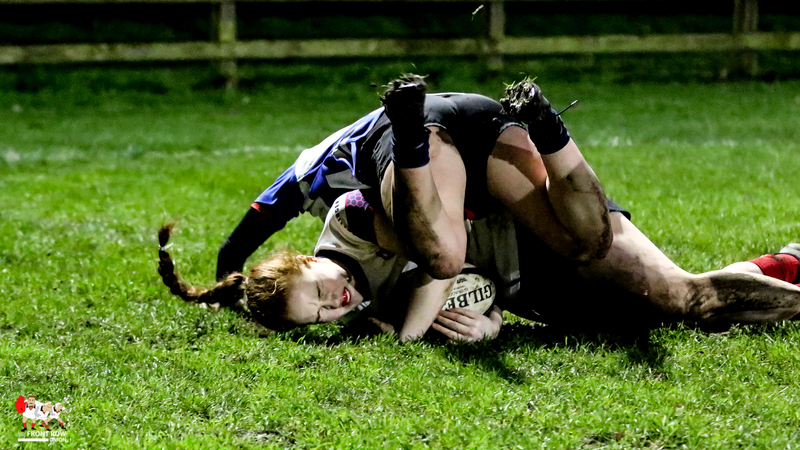 Cheers Michael – I thought I had pics of Siobhan in the red of UL Bohs but they must have been in her Munster interpros. 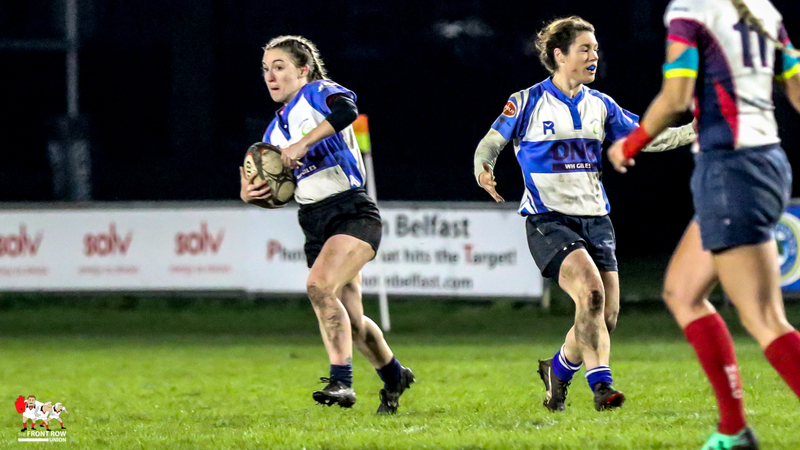 Apologies to Siobhan and Tralee, I’ve corrected accordingly.